KAABOO just wrapped it’s third successful year at the Del Mar Racetrack. This year’s 3 day festival ran from September 15th thru September 17th. It featured music, art, culinary experiences, comedy, Indulgences & more. 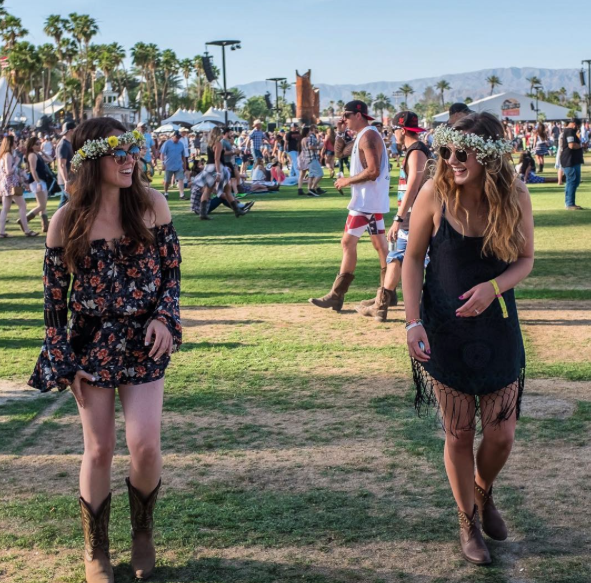 Smiles are a staple at KAABOO whether you’re wandering the fair grounds, watching a concert or getting up on stage! KAABOO is all about fabulous choices, like should I check out Kesha or Weezer? I hopped between the Grandview & Sunset Cliffs stages to check them both out. Kesha is back! She was better than ever with both new music and favorites. My favorite oldie had to be Dinosaur. Weezer was amazing as the sun vanished. 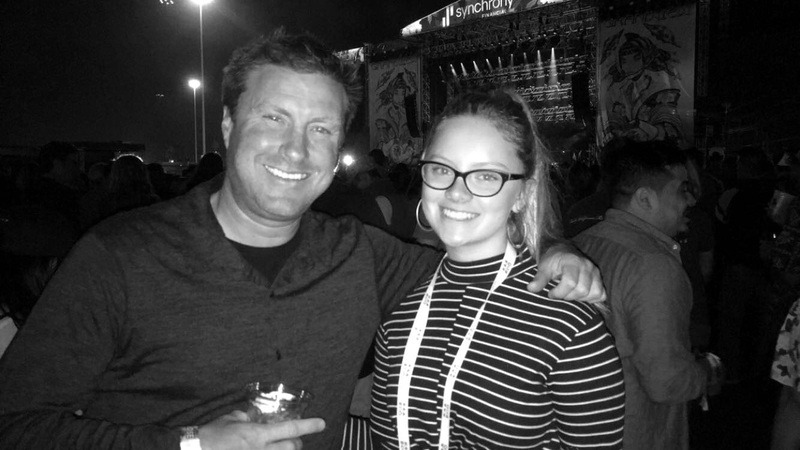 My dad doesn’t usually go with me to concerts (this was his 1st KAABOO my 3rd) but for Weezer and the next group, he came. 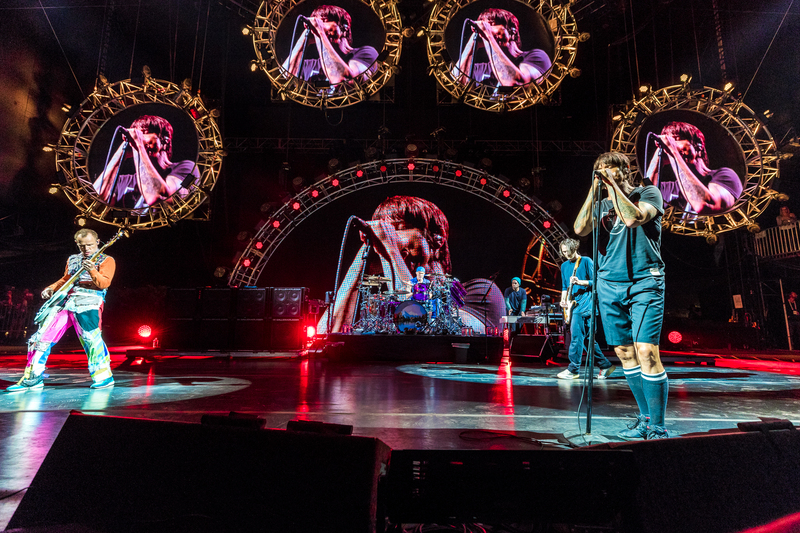 This was my first time seeing the RHCP, but my dad says they were as incredible as they were when he first saw them in the 80s. 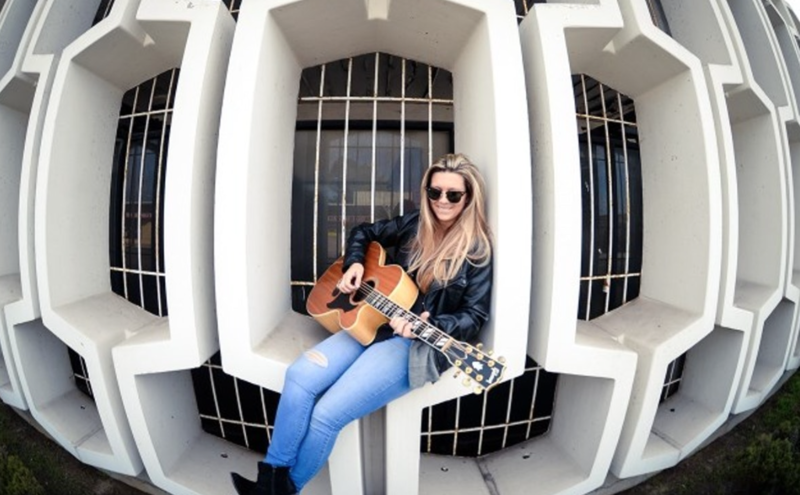 Saturday’s musical highlights first from the Grandview & then the Sunset Cliffs Stage. Jimmy’s a trilingual interpreter & Logic is amazing in all languages! Catch the full video on YouTube. 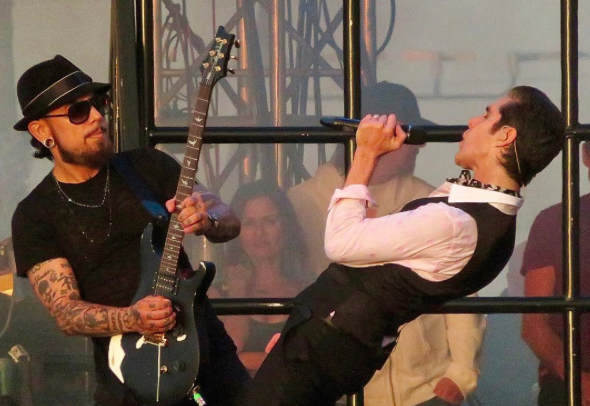 Next on the Grandview stage was Jane’s Addiction. 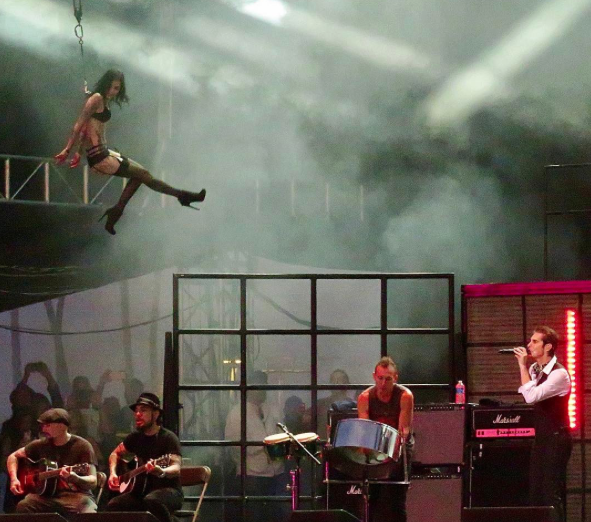 Lorrie @lorrie_sabban captured them brilliantly & I have to agree with her Nothing’s Shocking because at KAABOO you can see everything! 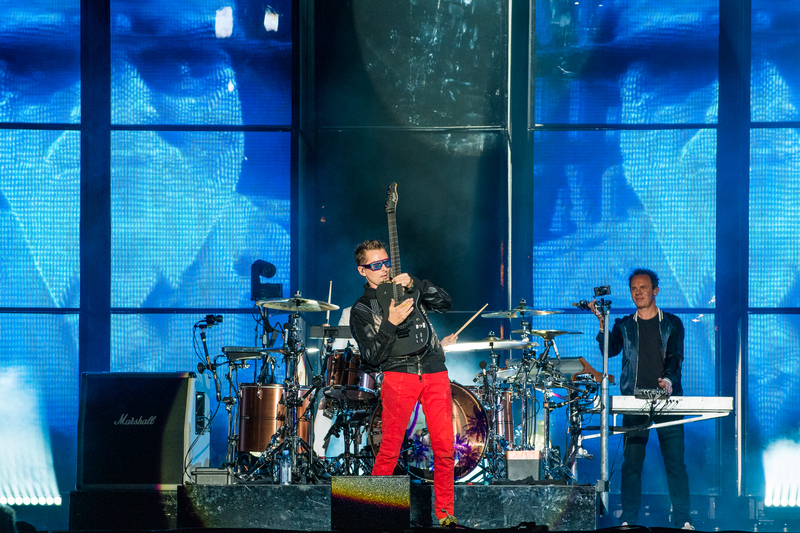 Muse then closed out Saturday for the Grandview stage. Thank you Muse for an incredible show. Really grateful that I got to share the experience with my good friend and mentor Neal Mims. 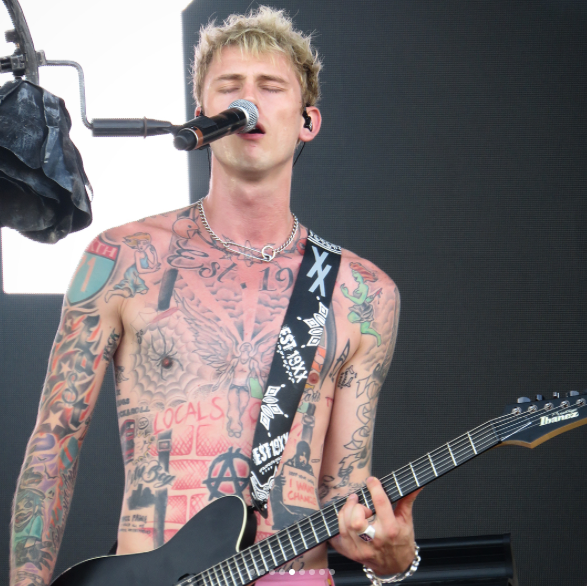 Over on the Sunset Cliffs stage the recap starts with Machine Gun Kelly. I thought he was pretty amazing when I saw him the week before at the Sheckler Foundation Golf Tournament – I know who would have pegged him for a golfer? But on stage he takes it to the next level. 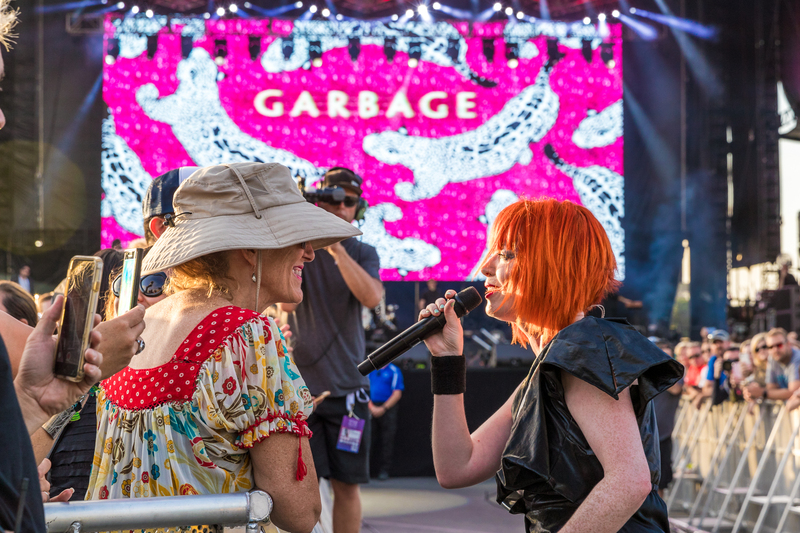 Next came Garbage in this picture by aLIVE Coverage that captures again how the artists of KAABOO interact with the audience & how delighted the audience truly is. and then P!nk. 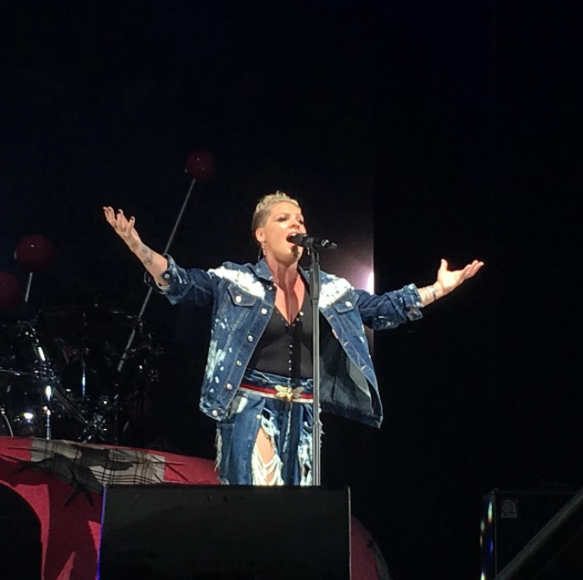 Yes,lots of people came out to see P!nk. I’m not alone in thinking she put on a tremendous show. Yes, she killed it & Ian has tons more killer photos on his IG. Sunday ends earlier than the other days, however, it’s still packed. Among the musicians on Sunday were Jackson Browne on the Trestles stage. 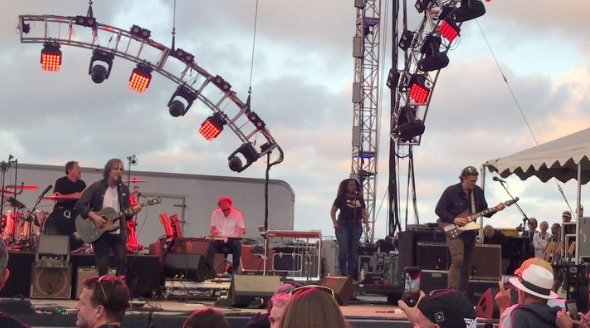 I’m going to be honest, I never heard of Jackson Browne before KAABOO and that’s exactly why I had to include this video by Ali @alipariseau. I love that KAABOO is eclectic. Gina Marie @gmoneystrappedphoto found out she loves Trevor Hall. Plus it’s an incredible way to make new friends. You gotta make new friends and have a blast! One of my new friends spent time at the Grandview stage where she caught Andy Grammer. Andy Grammer was amazing. Best show of the weekend. 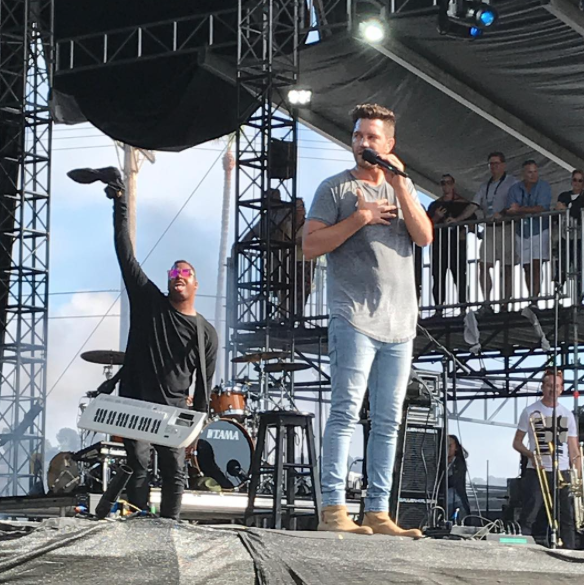 Jason Derulo above & Alanis Morissette were on opposite stages making sure Sunday is a fun day to be at KAABOO. 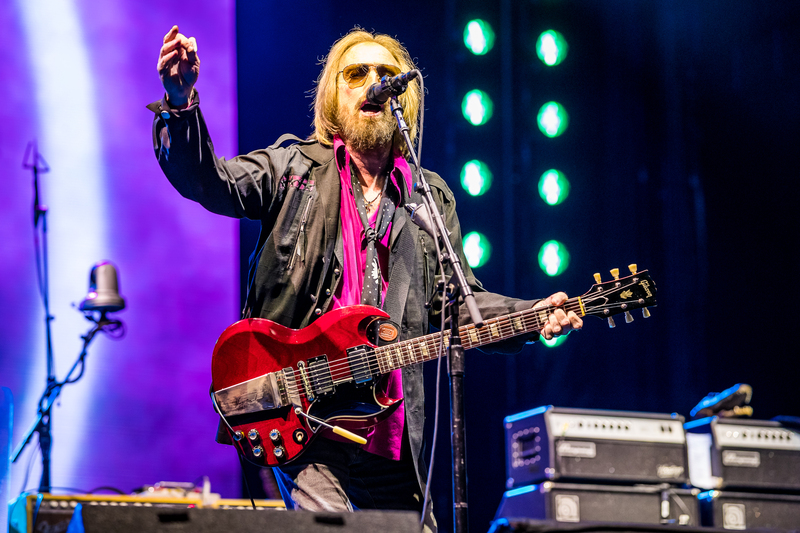 Sunday’s last but certainly not least show on the Sunset Cliffs Stage was Tom Petty. Celebrating 40 years of amazing songs. 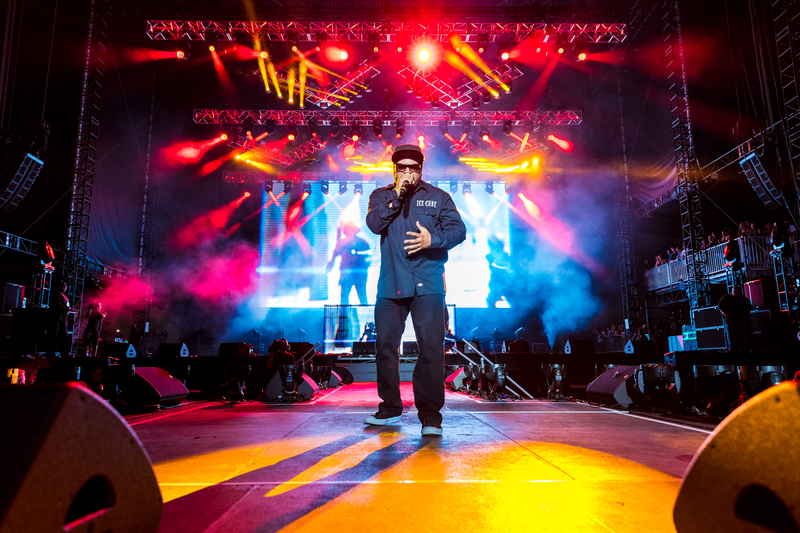 It was there with two of my favorites – Sway & Gavin that I had my last KAABOO dance of 2017. 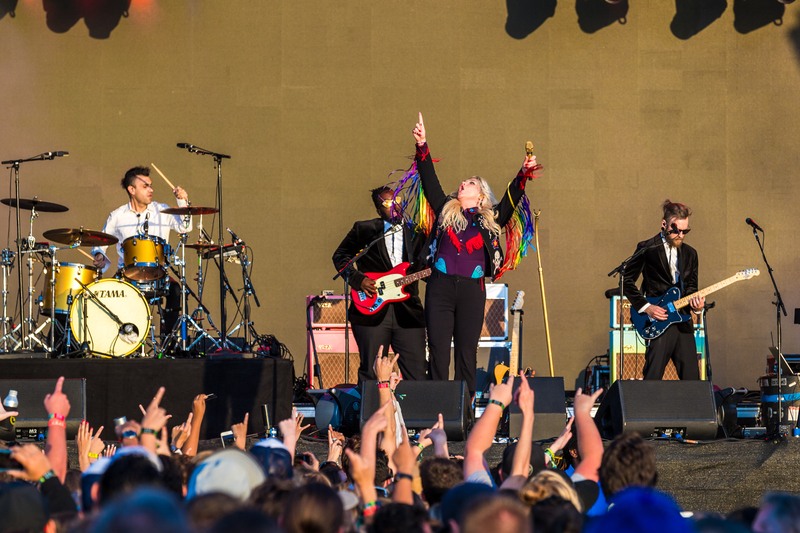 In the words of Tom Petty: ‘Bye, bye’ #KAABOO! Thanks for a fabulous festival! 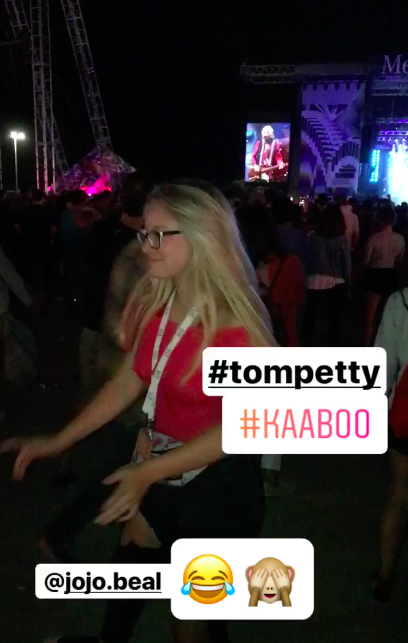 Now some highlights from other areas that make KAABOO a memorable experience. At Palate you can meet some of your favorite chefs and at Humor Me you attend comedy shows. 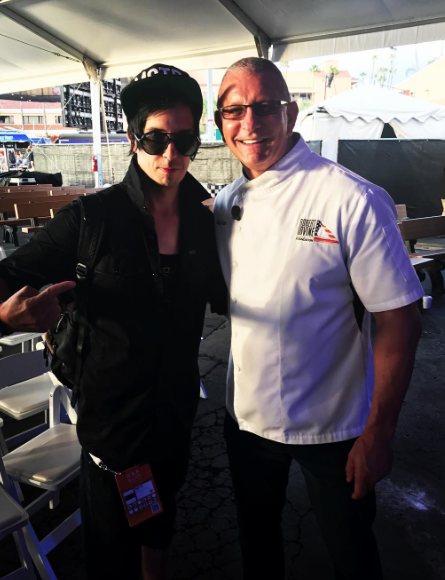 @RySpeer shares this pic with Chef Irvine. 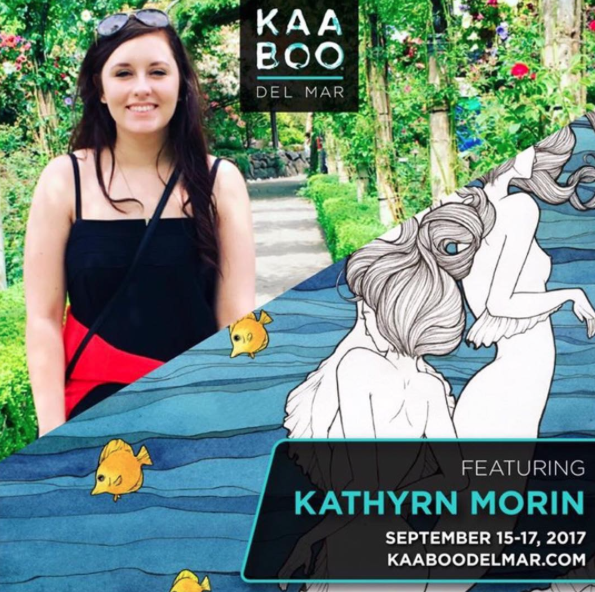 KAABOO also welcomes amazing contemporary artists. 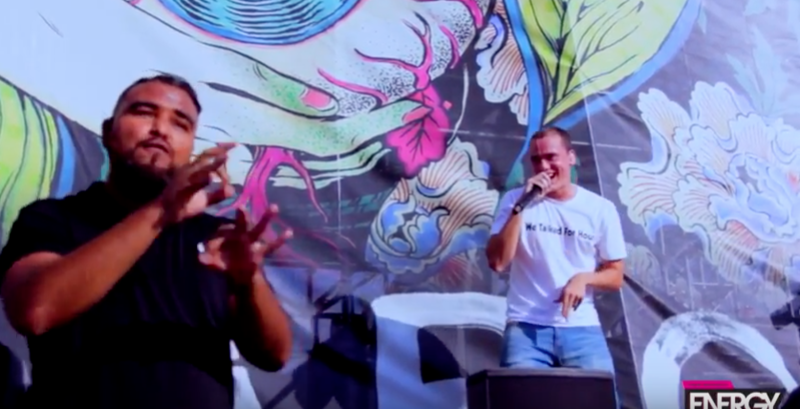 These are three of the incredible artists who participated in KAABOO. To find out more about them click on their name to read an interview post. They are as kind and inspiring as they are talented. 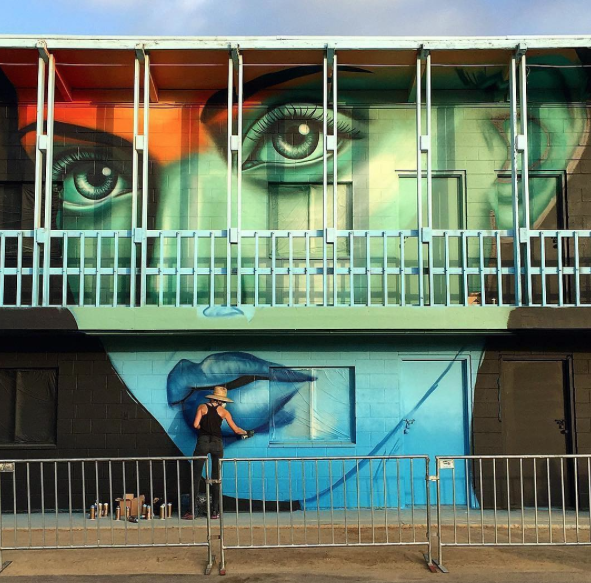 The mural above by Carly is permanent so just visit the Del Mar Fairgrounds to enjoy it. Above ELLE creating & below the finished piece. A day at a festival can take a toll. 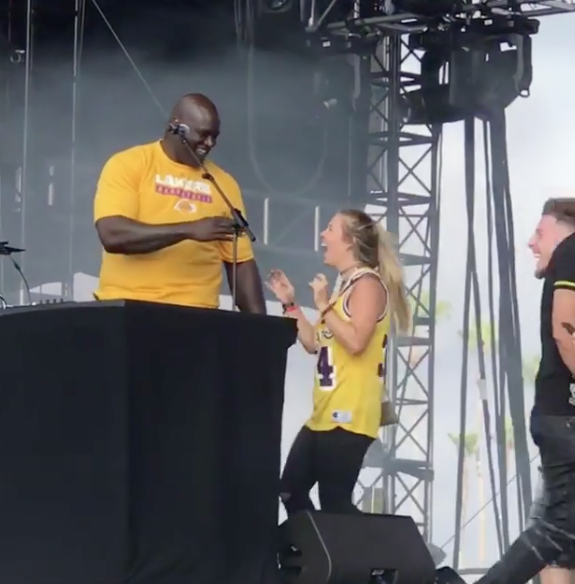 KAABOO has you covered with a section called Indulgences. It’s a place to get pampered by the likes of Paul Mitchell. 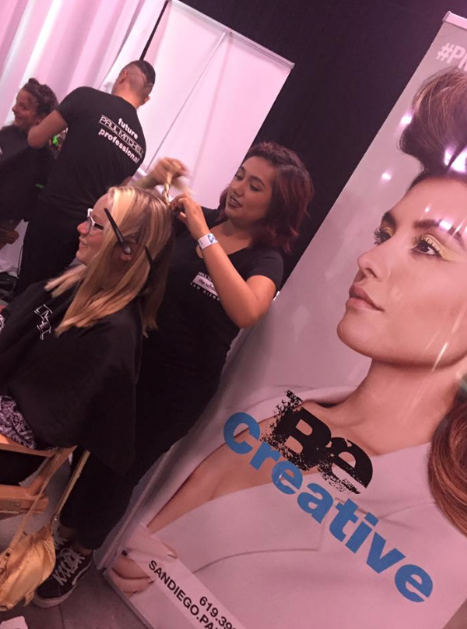 Above Monika @styledbymonika shares a shot of the Paul Mitchell Squad who had you covered all 3 days. 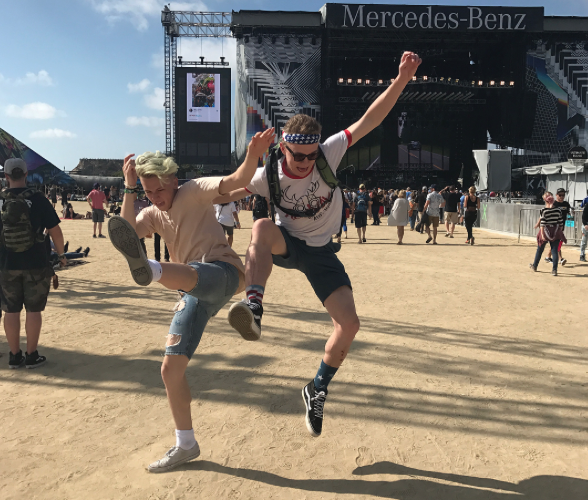 No matter where you were at KAABOO – even in between places – it was easy to have fun. 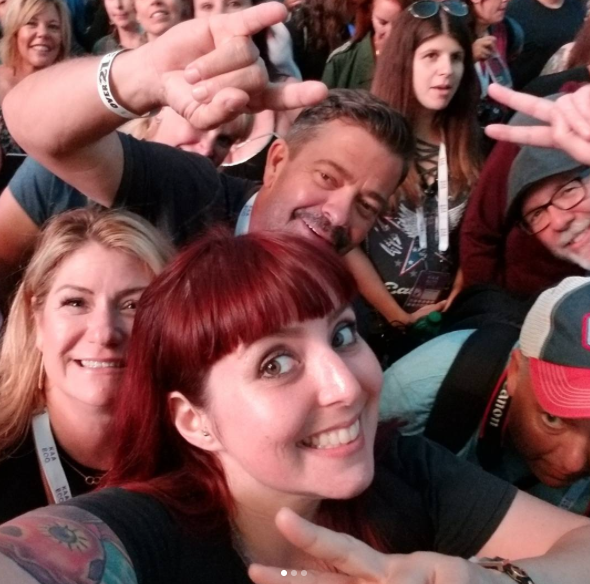 Thanks again to everyone who shared their KAABOO memories! 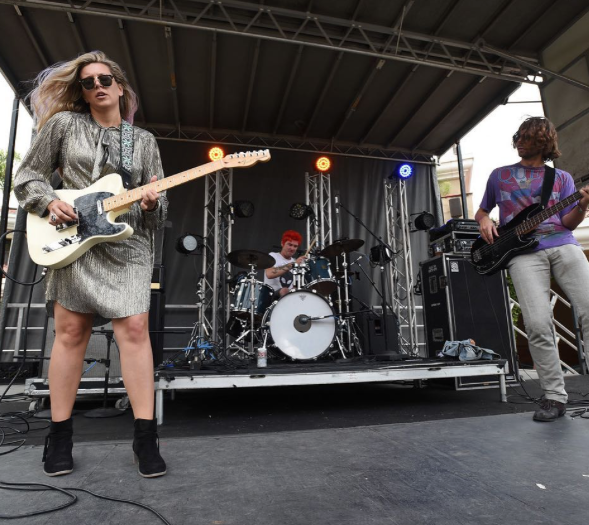 Above Crystal @crystal.alysia ends our KAABOO recap. 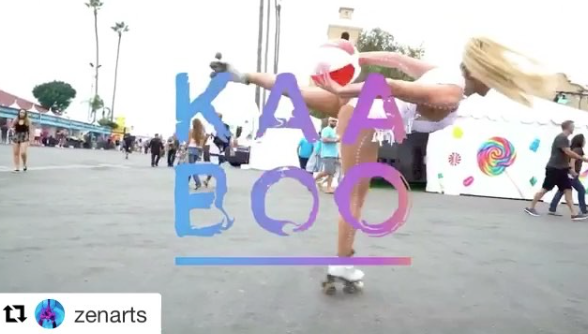 Yes KAABOO has roller skaters – they have all things fun & stylish! KAABOO 2018 will happen September 14th – 16th – I’m already looking forward to it. 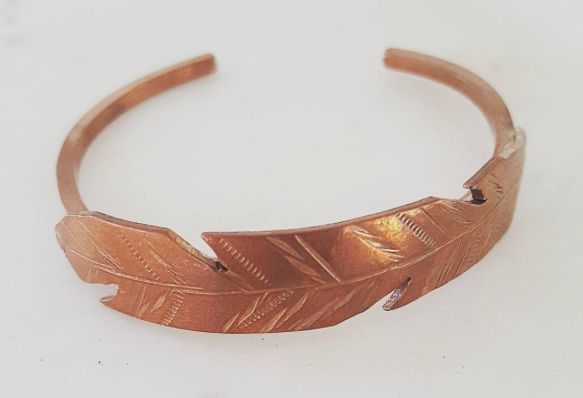 Sarah Johnson is a self-taught metalsmith artist. 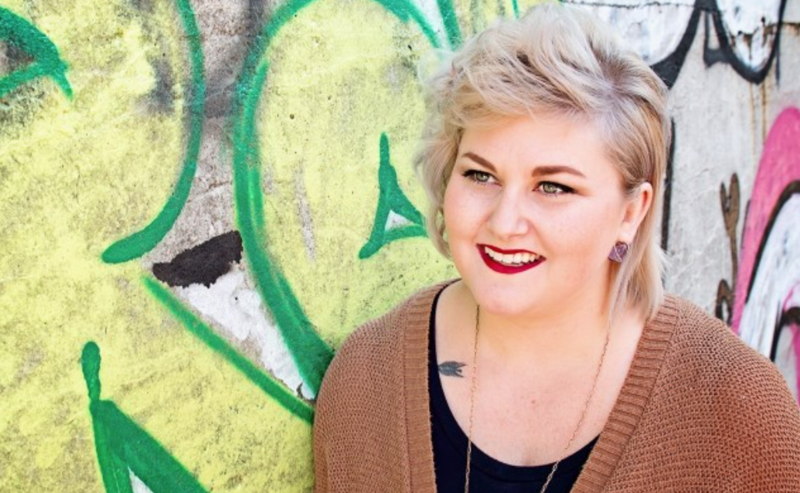 She designs and creates jewelry and has a mobile boutique unit that rolls around central Illinois. I’ll be lucky enough to check her out when she comes to KAABOO September 15-17th. 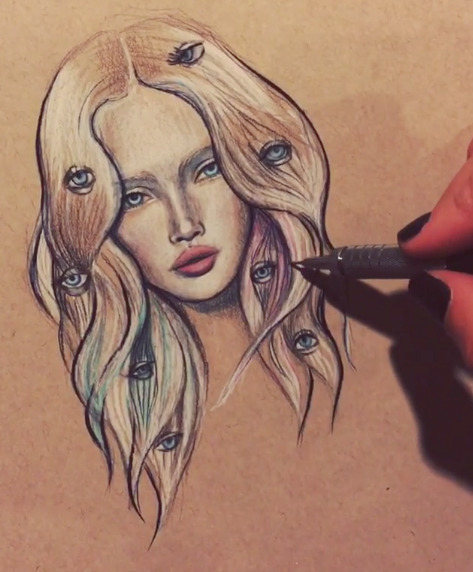 Until then, here’s more about her & her art! 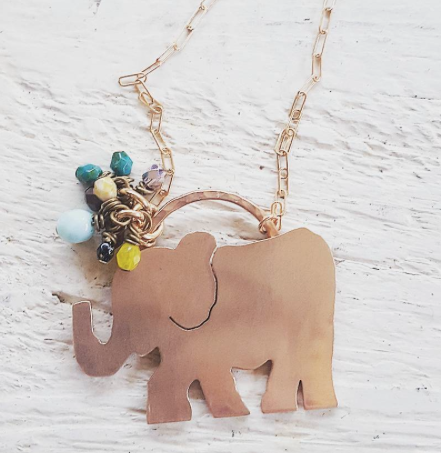 How were you attracted to metalsmith art & how long have you been doing it? 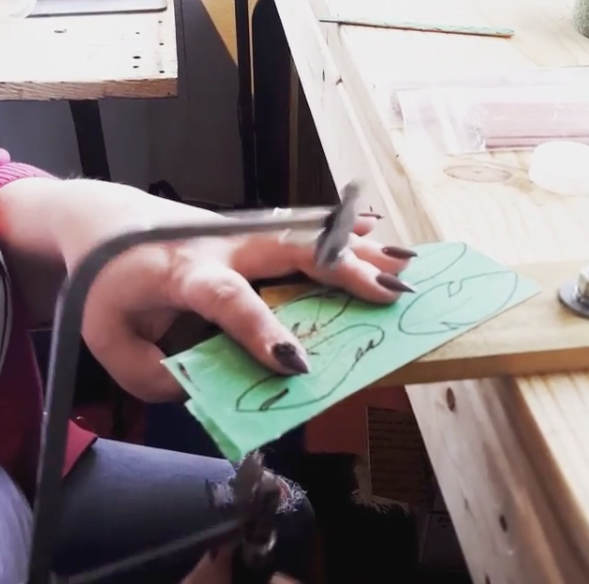 Sarah: I started making jewelry at a hobby level about 8 years ago. Through experimenting and finding the need to broaden my skill set, I found a love for working with metal. I taught myself through a ton of trial and error, a few YouTube videos and hours of reading online. I have come a long way from those initial hours with my little butane torch in my basement, and feel comfortable and happy with my skill level now, although I don’t believe I will ever be done learning. 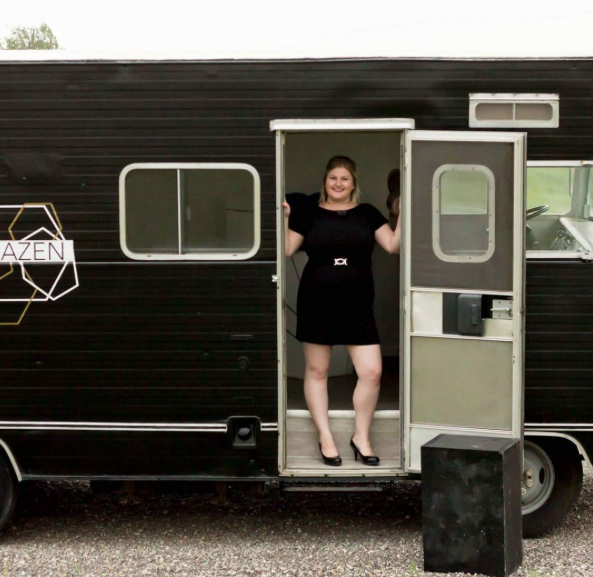 How were you inspired to start share your jewelry by opening a mobile boutique? I absolute love the mobile boutique idea! Sarah: The mobile boutique was born out of necessity. I have always done a ton of markets and shows to sell my jewelry. Unfortunately for me, I live in the midwest and most of those shows that are close by are limited to May-October due to weather. Every year I went through a bit of brainstorming about how to sell in those off months. I have a website and have dabbled in Etsy, but I crave the face to face interaction with my customers. My husband and I looked at opening a brick and mortar store, but found it to be a huge financial risk. I had been traveling in Chicago and saw a ton of mobile clothing boutiques and thought, “why not jewelry? ?” From there it was a matter of finding the right truck, rehabbing it and getting it on the road. 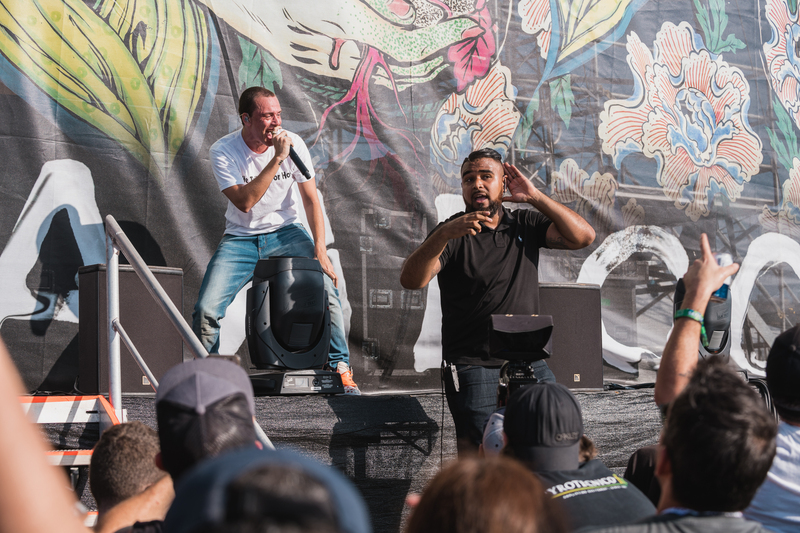 How often do you do mobile shows? 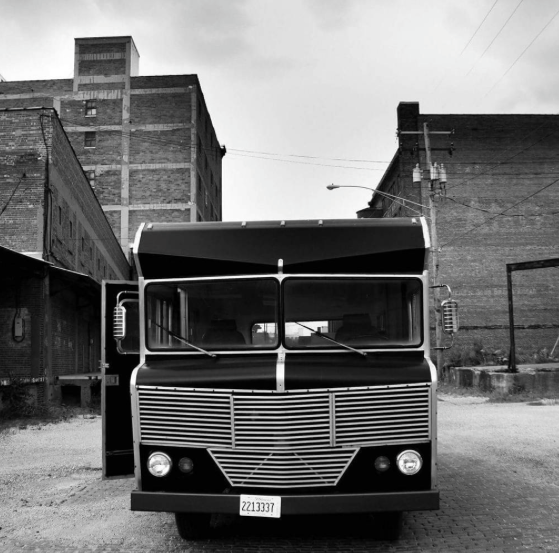 Sarah: I fell in love with a 1973 Winnebago Brave and we launched it in April of this year. I take the ‘Bago’ out about twice a month, more or less, and so far it has been really well received! Is the mobile boutique coming to KAABOO? Sarah: I will not, however, be making the 30+ hour drive to Del Mar in the Bago. If for nothing else, to spare my nerves of that long of a drive with a vintage vehicle. 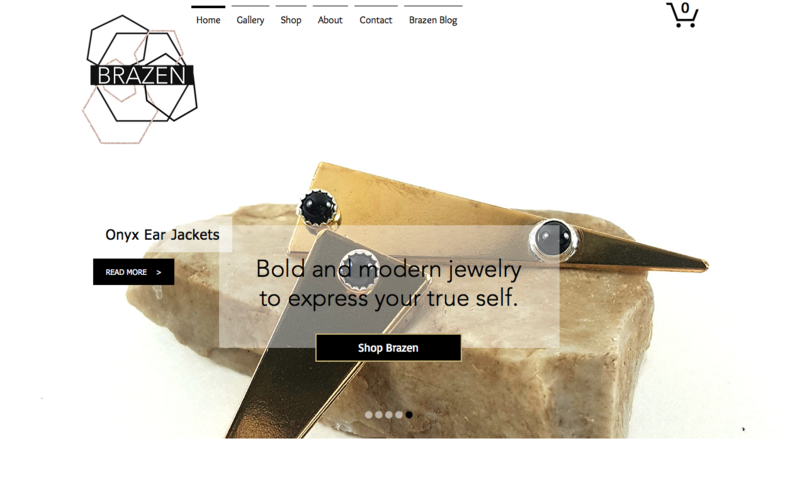 Your website is called Brazen Jewelry – what’s the meaning behind the name? Sarah: I went through some re-branding about 2 years ago when I made the decision to make this jewelry gig a full time job. I was searching for a name for my business that would exude my style and look before even seeing a piece from my collection. I started looking in a thesaurus at words that I wanted my brand to be know for. Bold, strong, different, edgy were a few and among the synonyms, brazen kept popping up. I mulled it over for a minute and it just felt right! Each piece is hand sketched, designed, cut & finished by hand will you be demonstrating the process at KAABOO – making pieces? Sarah: I will not be demonstrating my craft at KAABOO. There are so many tools, steps and parts to my process, not to mention it is dirty and almost always requires a torch!! Its not the best thing to try and travel doing. How do you decide which pieces are created and offered multiple times on your site? Will you be bringing all the pieces from your site to KAABOO or will it be a surprise? Sarah: The design process has always been a little different for me. I used to just make whatever I felt like and almost always only made one of everything. Over the coarse of developing a brand, I have changed my process a bit and now I try to design a whole line. Pieces that jive together and speak to my brand. My website is stocked with pieces I have on hand or things that are easily repeated, i.e. not one of a kind pieces. 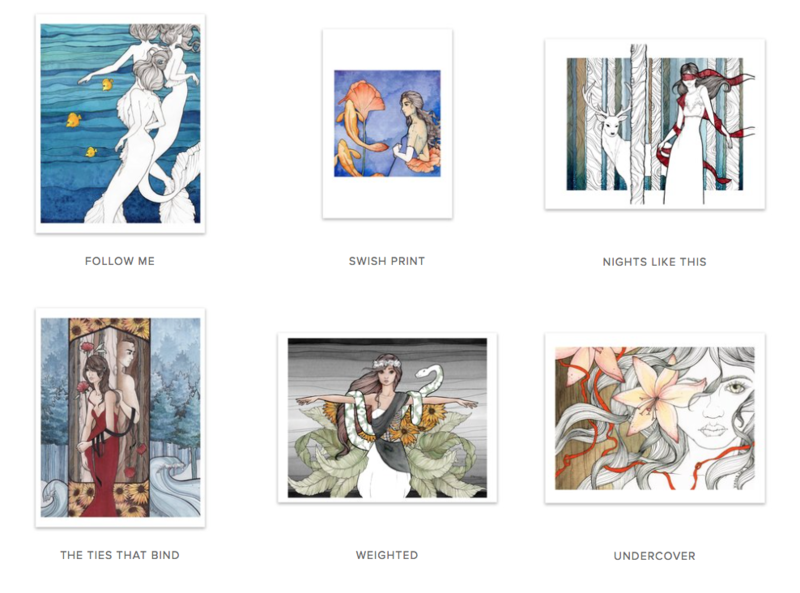 I also use my website for wholesale purposes and kind of a sampling of my work. 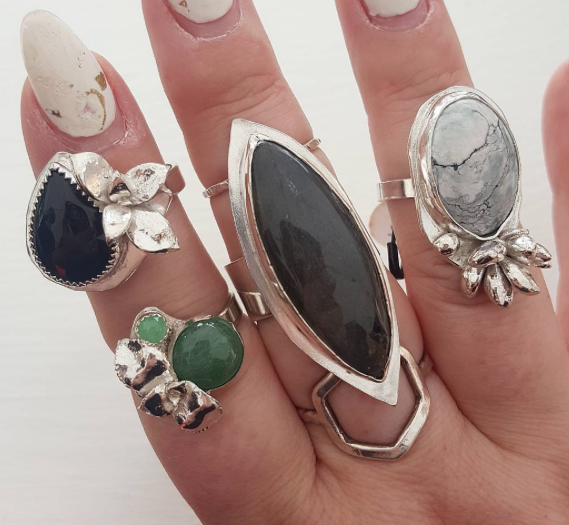 Pieces that are listed in multiples are usually pieces that sell well, have been popular, or have been requested often enough to make multiples. So while I will be bringing most of the things on my website with me, I will also have a ton of new pieces made specifically for KAABOO as well as one of a kind pieces that have never been listed on my website. Thank you Sarah – I realize you’re super busy and appreciate you taking the time to share with us your passion which is now your job! 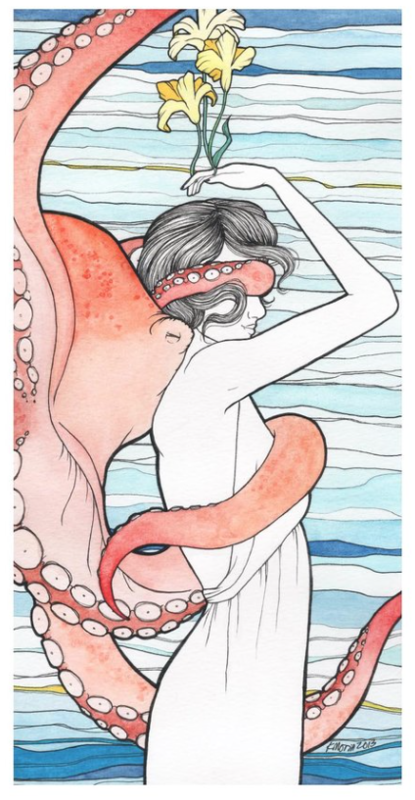 Check out all of Sarah’s art on her IG & website. 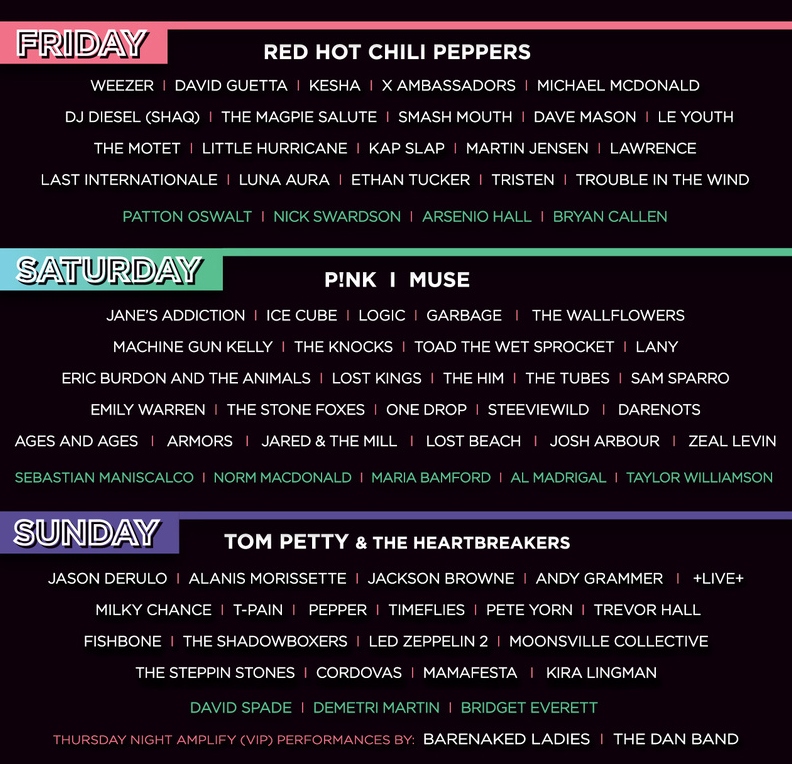 KAABOO 2017 starts today – Friday, September 15th & goes thru Sunday September 17th. 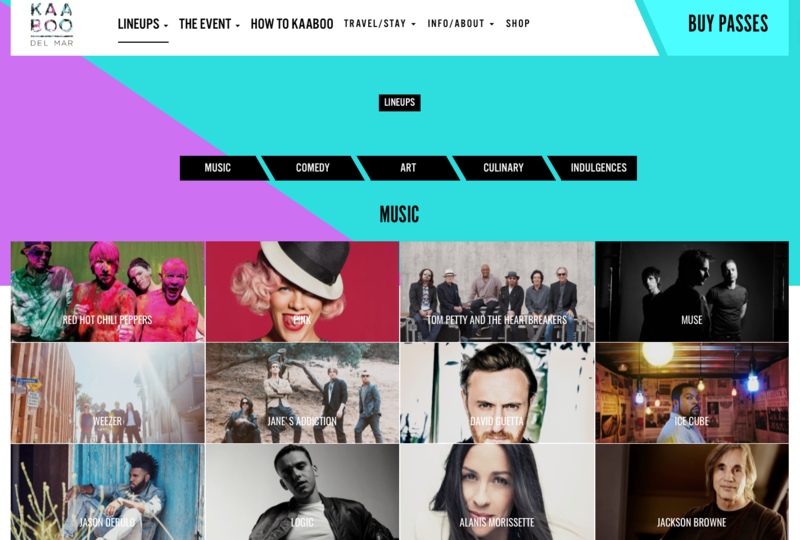 KAABOO come see Sarah & all the other artists – the line up is incredible. Thankful to all the artists featured on my blog posts leading up to KAABOO 2017. They were girls following their passions and willing to inspire other girls to do the same – which is always in style on & off the board! I’ve always shared my love of Indulgences at KAABOO. One of the participants I’m super excited about is Cake & Punch. Yes, I love cake and punch but this cake & punch is not about food, it’s about flowers. So it makes perfect sense that everyone would want to experience wearing one at a festival like KAABOO! 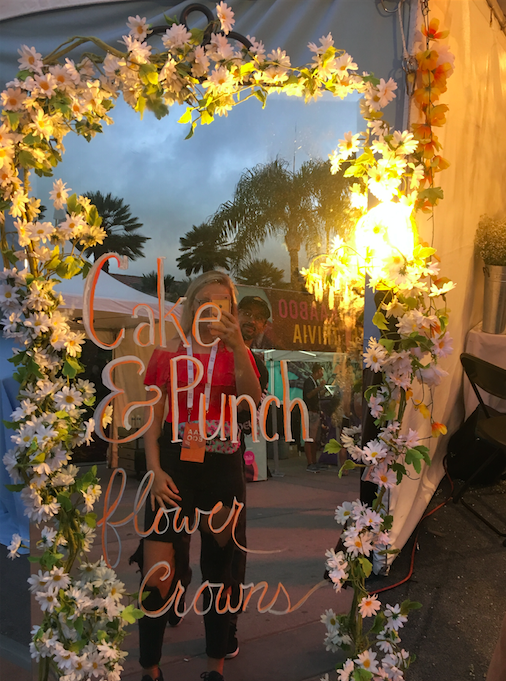 I was fortunate enough to catch up with Christina Schneider, owner & founder, to get the scoop on what to expect from Cake & Punch at KAABOO September 15 – 17th. What do you have planned for KAABOO? Will you be making crowns there? We will be making fresh flower crowns all day! 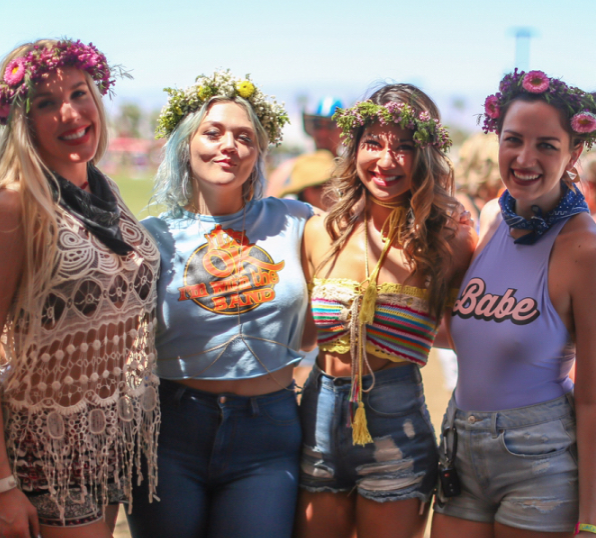 Will you have fresh and faux crowns at KAABOO? 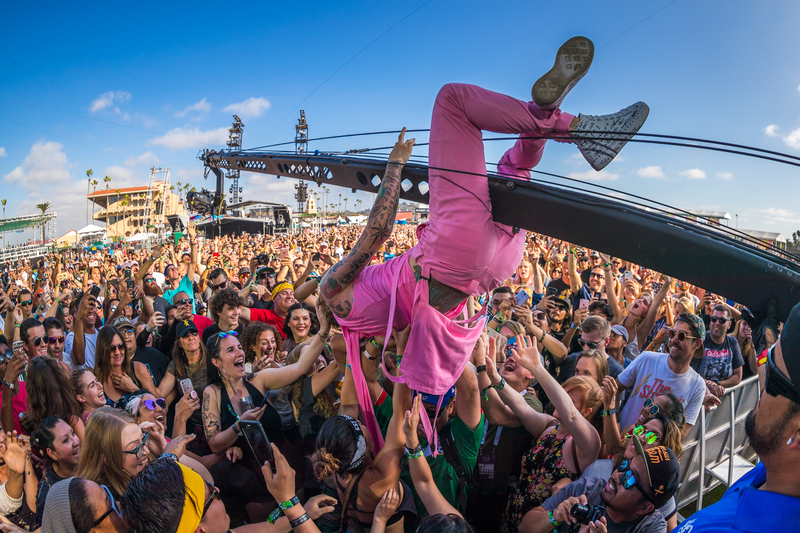 If fresh too what are your tips for keeping them fresh for 3 days – life can be “hot” in Del Mar & especially in a mosh pit? We will only be selling Fresh Flower Crowns and taking custom orders! Each one is hand made, beautiful, and unique, while using durable flowers that remain fresh for your day at the festival. They have not been mosh pit tested, but we are up for the challenge! You’re the founder & owner how/when did your passion for flowers and crowns become a business? 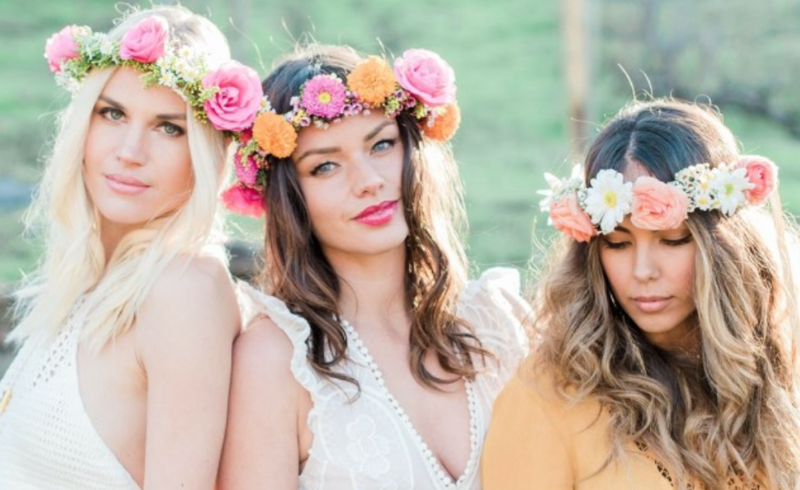 About 3 years ago, after teaching myself how to make a flower crown, I offered a flower crown bar to one of my clients who was having an event at Malibu Wines. Everyone at the venue kept coming up asking to buy one, so I had my first Pop Up at Malibu Wines the following weekend where 70 hand made custom flower crowns were sold. 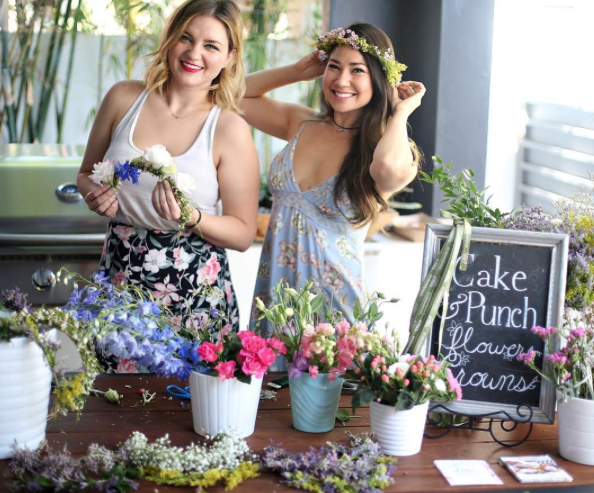 Since then Cake & Punch has created thousands of flower crowns for celebrities, hollywood events, festivals, and have Pop Up Shops on the weekends at Malibu Wines and Rosenthal both located in Malibu, California. Thanks so much Christina from Cake & Punch – to see more of their designs check them out on IG & their website. I’ll be checking out Cake & Punch for sure at KAABOO, especially because now I’m thinking about flower crowns instead of corsages!!! 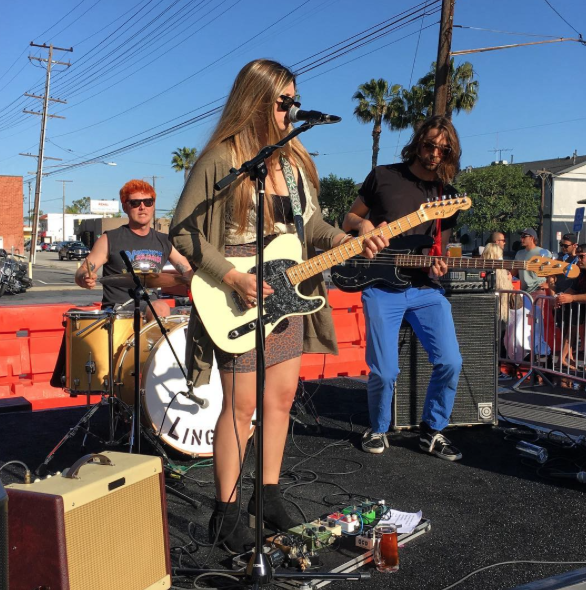 Kira Lingman Band will be performing at KAABOO on Sunday September 17th the Tourmaline Stage at 11:50am. I had the opportunity to find out more about Kira. You started playing guitar at 16, what inspired you to start and did you realize immediately it was a passion? Kira: I’ve always loved music since I was a kid but it wasn’t until I was older that I really wanted to practice and learn. I think it’s important for everyone to have a creative outlet in their lives. 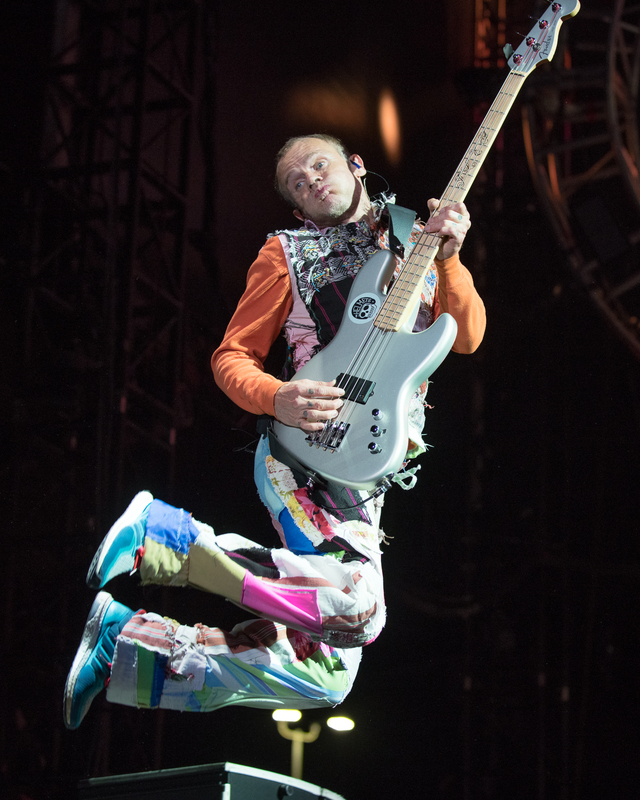 Did playing guitar come naturally or did you take lessons? How did you start singing and composing? You started performing after college? Had it been in the back of your mind or was it just chance? Kira: I was shy when it came to music. I never performed in public but it was always something I wanted to do but didn’t know how to go about it. 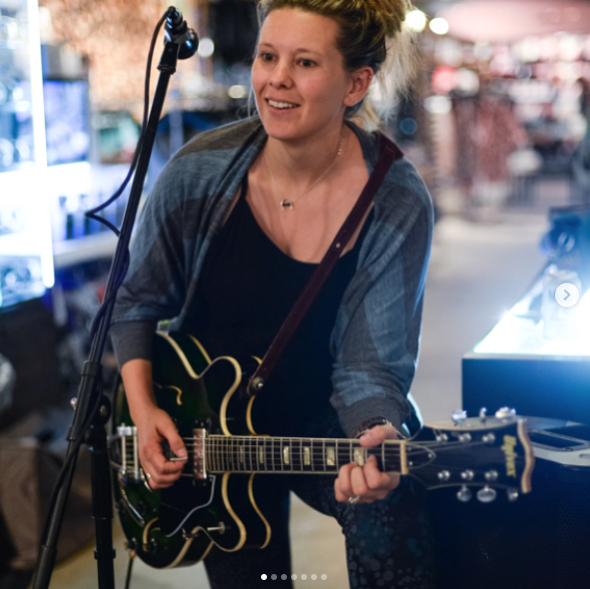 It wasn’t until I started working at a surf shop that one of my managers needed a guitar player and I asked to sit in and it was amazing. I loved the collaboration happening within the band. After that I was hooked and I eventually formed my own band years later. 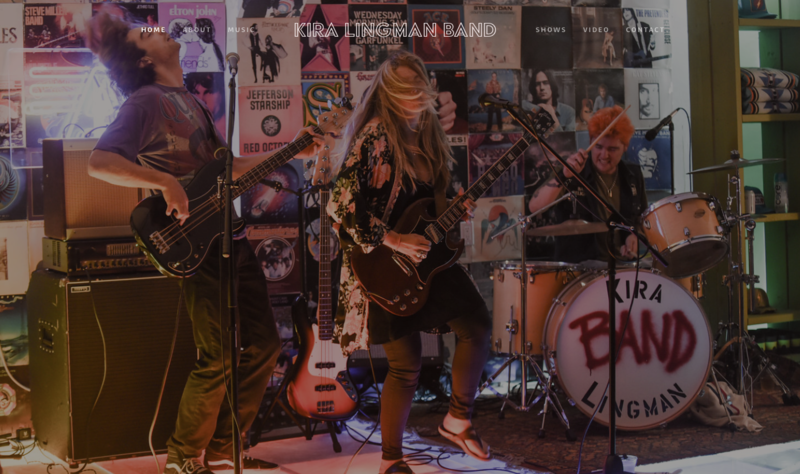 How & when did you form the Kira Lingman Band? 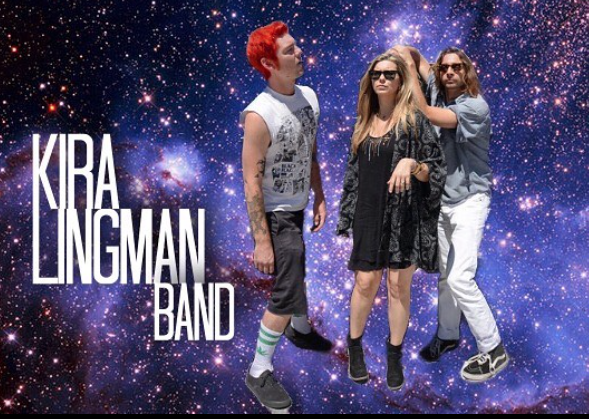 Kira: We formed Kira Lingman Band about a year ago, but a year before that we were a two piece rock-n-roll duo. I met my drummer, Zach though a mutual friend and we immediately had a great chemisty. He sat in with my previous band, The Hollow Legs, but once the other members went back to college to pursue their masters degrees, the two of us gigged a for a year until we added Joe to the mix. 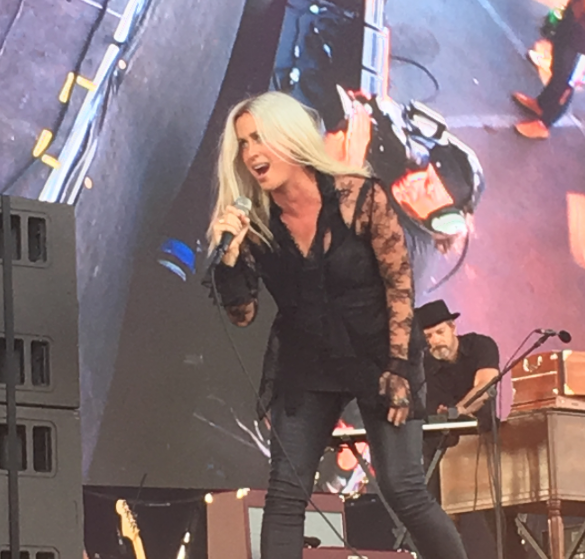 You’ll be at KAABOO Sunday September 17th 11:50am on the Tourmaline stage and your songs are on your web page – how & where else can people hear you? 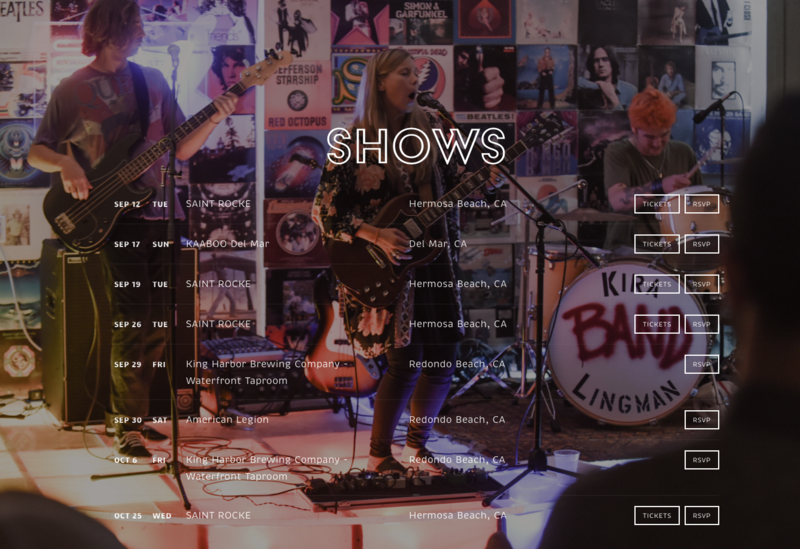 Kira: Website, Facebook and Instagram are the best ways to keep up to date on shows. I primarily play around the beach cities in Los Angeles. Saw on your IG that you like to surf. 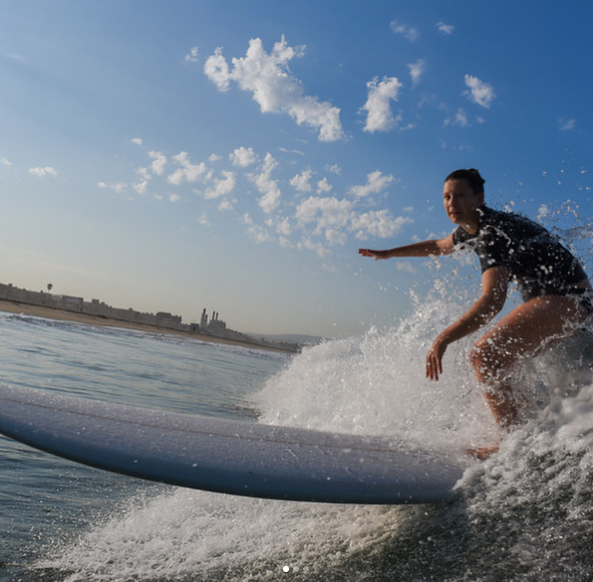 How does surfing help keep you balanced and does it inspire your music? Any chance you like skateboarding too? 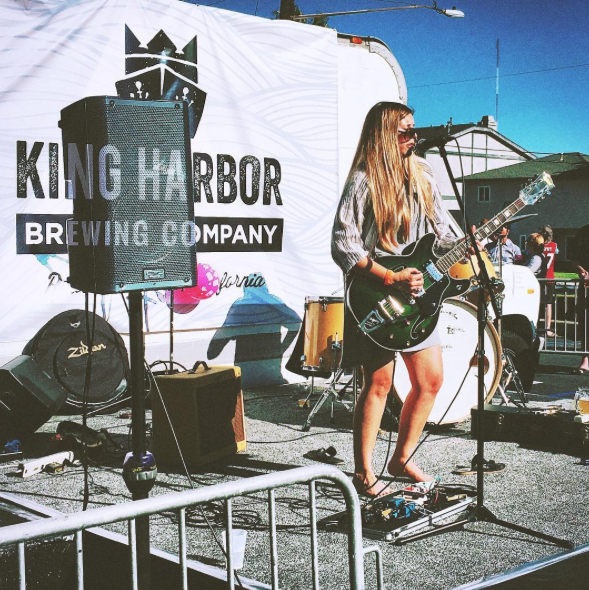 Kira: I’ve been surfing since I was a kid and it definitely inspires my music. When you do the activities you enjoy, it keeps you happy and motivated to channel that energy towards music. As for skateboarding, I do enjoy it but don’t skate often for fear of breaking an arm. When I do skate, I love those Carver boards. They’re such a fun cruising board! Thank you Kira. I’m so inspired that you took your love of listening to music to the next level of playing and then beyond to sharing. Love how fate & friendship played a part in your success – helping your manager got you on stage & friends introduced you to your drummer now long time collaborator! 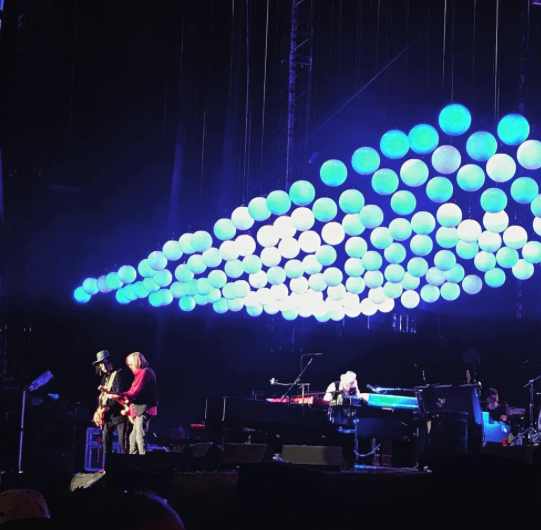 Looking forward to hearing you Sunday at KAABOO and beyond! More posts on amazing artists scheduled to appear at KAABOO 2017 are on the way. All the artists featured are girls following their passions and willing to inspire other girls to do the same! 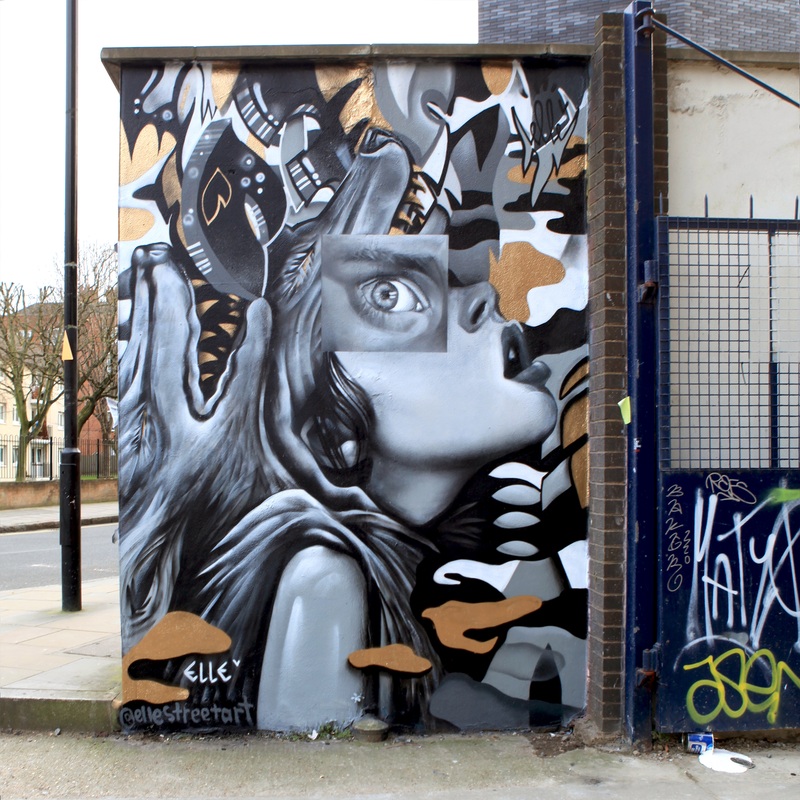 ELLE is a top touring street artist, in a male dominated art scene. In addition to finding her work “in the street”, you can find it in galleries, published in books, and worn. Yes, through her work with Reebok she created 2016 ELLExReebok graffiti legging & the 2017 ELLExReebok yoga capsule collection. 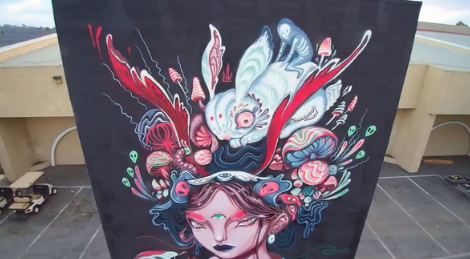 She will be coming to the San Diego area for KAABOO on September 15-17th and I had the opportunity to ask her a few questions about her art before going to KAABOO and seeing it live. 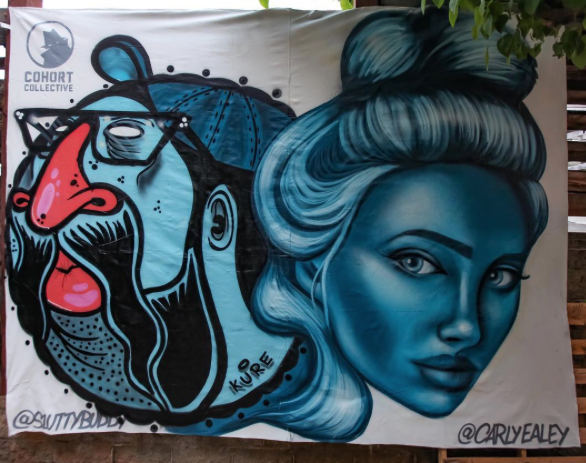 When did you start creating graffiti & how were you able to transition from illegal graffiti artist to a sought after artist? ELLE: I had never really “seen” graffiti or streetart before moving to New York about 11 years ago. When I stumbled upon art by Gaia and Swoon in Chelsae I was inspired to do it myself. I got really into wheat pasting but was frustrated with how quickly they were coming down off of the walls, and so I began graffiti. I got really obsessed with getting up, doing graff and meeting other writers. 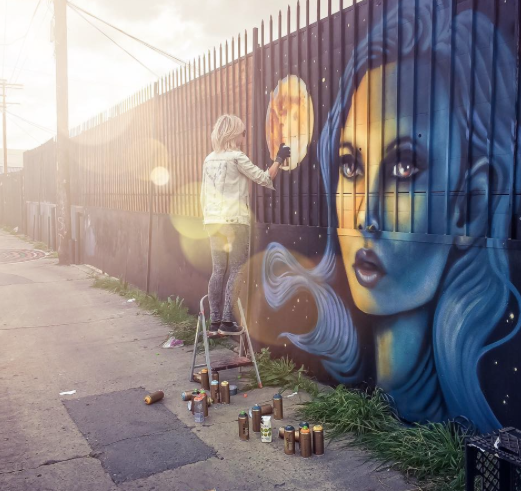 A few years later I got sponsored by Liquitex paint– with the free spray paint I started offering to paint people’s walls, and that snowballed into festivals, museums, and individuals inviting me to come and paint with and for them. I’ve seen some of your incredible work around the world thanks to IG & your website. What are a few of your favorite places and pieces? ELLE: Hmm.. that’s a tough question. I feel like some of my pieces have been benchmarks, or personal breakthroughs. and a piece I did in LA just a couple months ago for Not A Crime campaign. For all of these pieces I felt like something clicked that I had been wanting to happen, or I was able to finally move in a direction that I really wanted to. 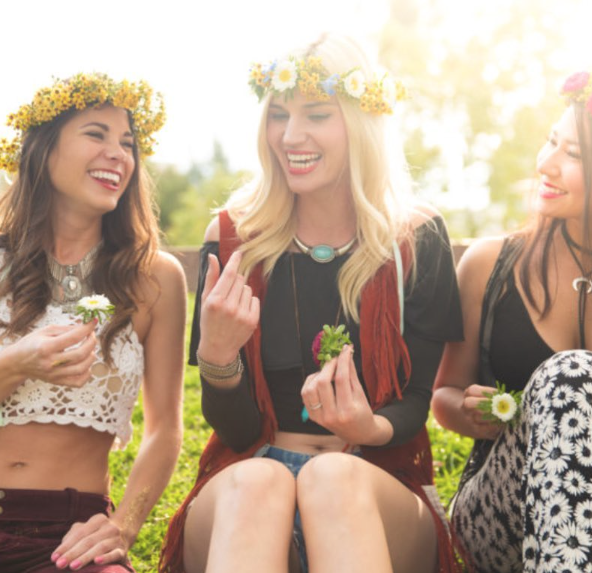 What’s the timing of your KAABOO piece – will you be creating all 3 days or ??? and what happens to your work after the event? 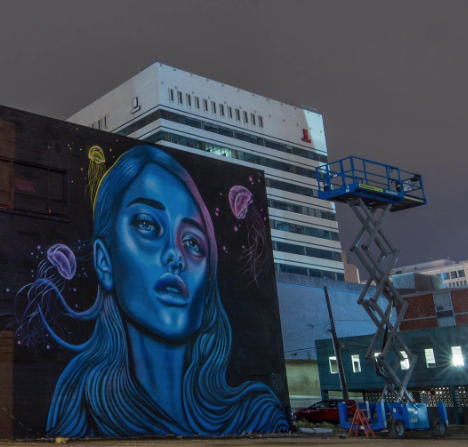 ELLE: I will be arriving late night on the 13th and will paint the 14th through the 17th. I also have two digital files that have been printed out and will be flanking the main stage. 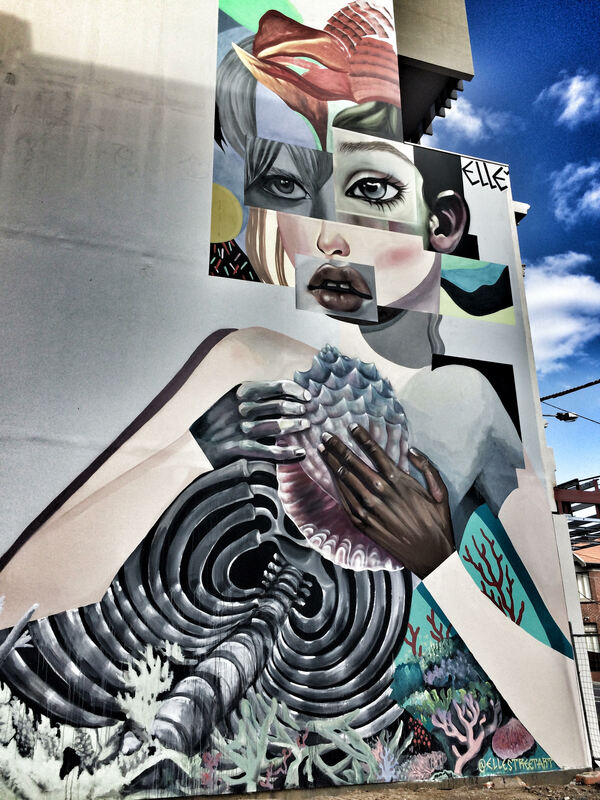 Those pieces were painted here in Melbourne a few months ago. 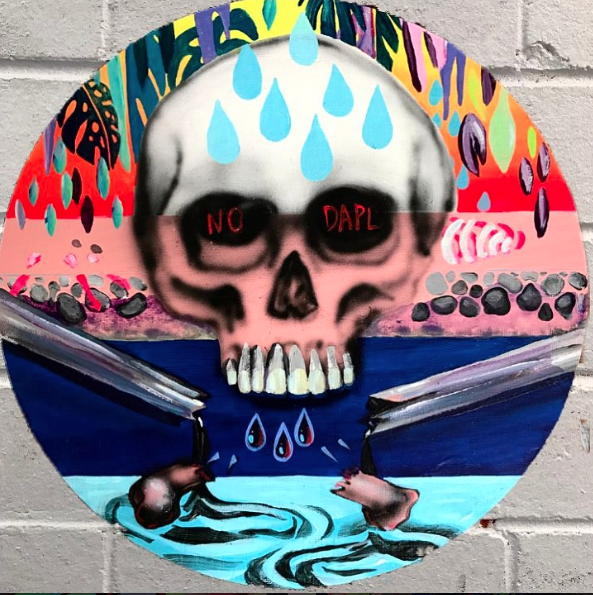 I love that you tell stories through your art and use it to communicate what’s important to you like raising awareness of global warming hazards & the need to protect the ocean, what’s your vision for your KAABOO “story” or do we have to wait & see? ELLE: Thank you! I was recently inspired by the book “A Sixth Extinction” as well as the movie “Chasing Coral.” Both go into detail about how we, as humans, are affecting the world; how we are pushing the reefs to extinction along with other species… If I can help to bring awareness to that and help, by recommending that people go carbon neutral, or that in consuming beef we are upping the methane greenhouse gasses, and by using single use plastics we are putting plastic into the food chain-than I will do so. Wouldn’t it be amazing if we could reduce our imprint so that we actually left the world in a more positive state than we came into it? I am hopeful. I think that if we live consciously then we can change things for the better. For the Kaaboo piece and all of my future pieces I’m hoping to inspire others to join me in these causes. Any chance you’ve thought of painting skate decks or grip tape? ELLE: My little sister is a skater, and I’ve been meaning to paint her a skate deck for ages! I love skate culture and watching skaters, so would be rad to design a deck or tape for sure! Thanks ELLE for sharing with us and please share pictures of the deck! To check out more of her work follow her on IG and check out her website. 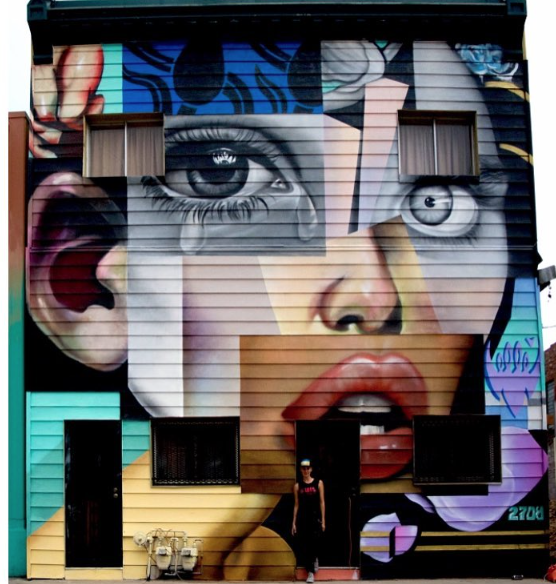 Her art is amazing as our all the places she travels to. 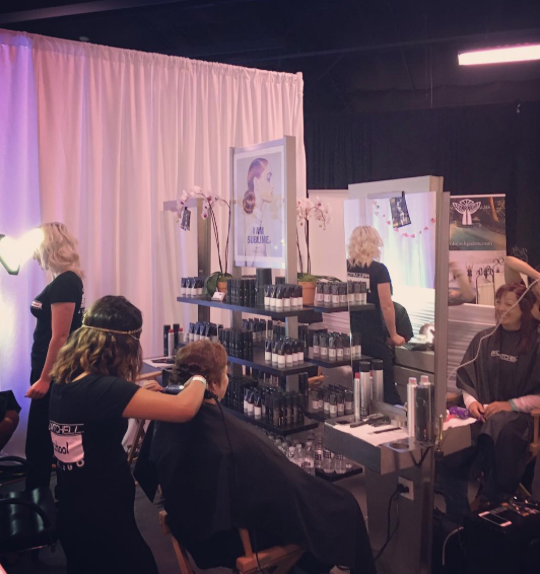 KAABOO Indulgences is your spa & relaxation zone while at KAABOO September 15-17th. 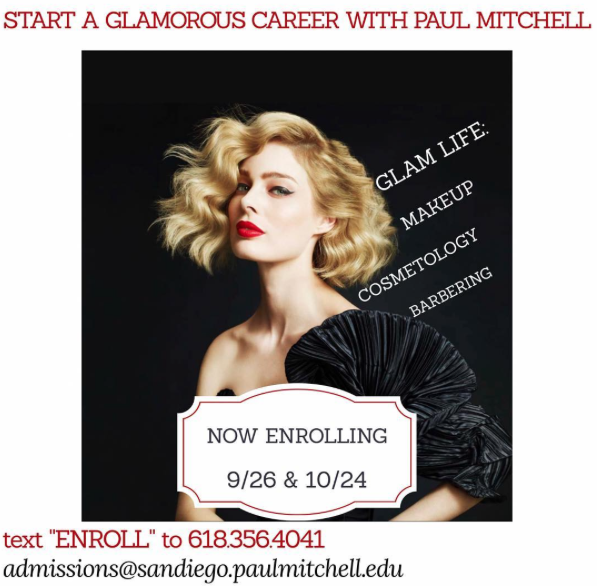 For the third year Paul Mitchell the School San Diego will be participating. 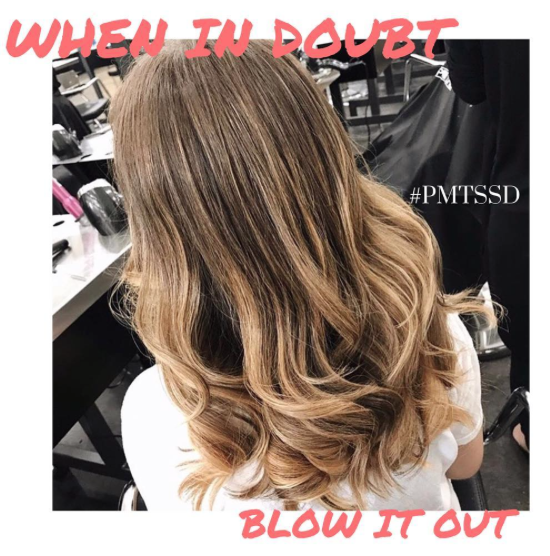 I was lucky enough to become friends with them last year, so here’s the scoop from Pamela Heal, Social Media Specialist of PMTSSD, to find out what style & fun they have planned for this year! 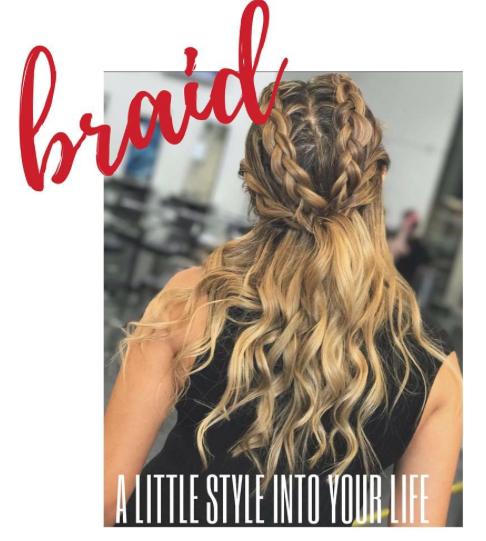 In 2015, you offered a braid bar and in 2016 you added services. What are all the services you’ll be offering this year? The services are performed by Future Professionals, your students. How do you select the students that come? I’d imagine everyone would be dying to come! Pamela: Oh, they are dying! Our attendees are selected based on grades, attendance, and visionary attitudes. 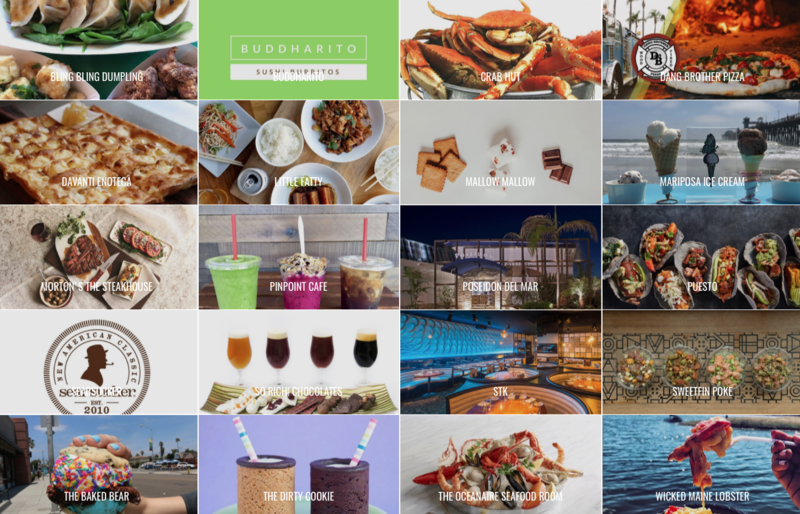 We bring the best of our best to ensure our guests at KAABOO are feeling their best when they leave our showcase. Where will you be located at KAABOO and what hours will you be open? Can people make appointments? Pamela: We will be located in the Indulgences Lounge again this year and will be taking appointments! 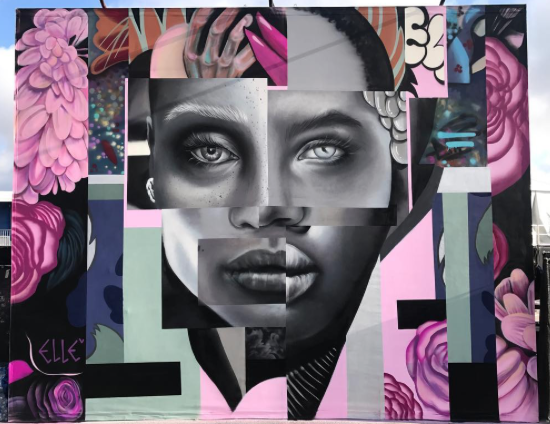 Paul Mitchell lives by “Success unshared is failure.” #givingismystyle is totally represented by the school as the students donate their time, talent, and energy to multiple SD charities will the school be doing any charity work at KAABOO? Pamela: We will be collecting donations for Houston in the wake of Hurricane Harvey and Bright Pink!, a Breast Cancer Awareness foundation. What else would you like to share about why you partner with KAABOO and keep coming back? 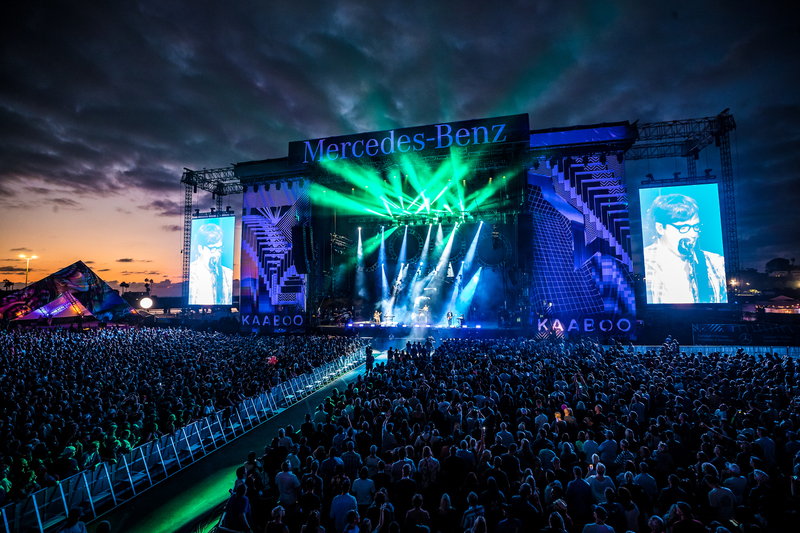 Pamela: KAABOO is a thrilling lifestyle event for San Diego to host right in our backyard: from the musical guests to the incredible variety of vendors that offer the best experience to its festival-goers, we’re grateful to have been involved with KAABOO since its inception. 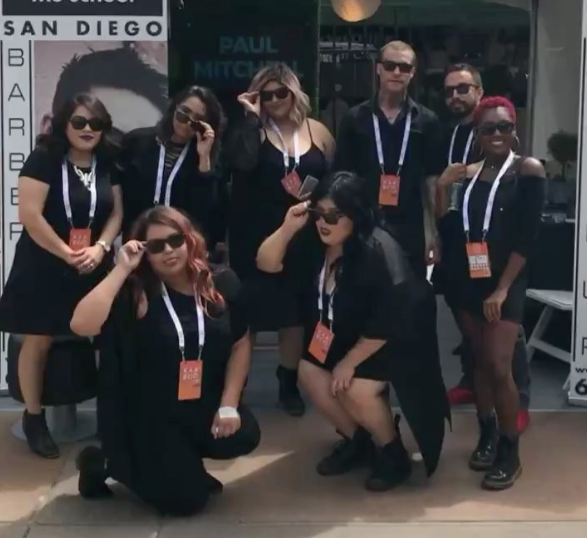 Not only is it a unique opportunity for our Future Professionals to network and share their skills, it’s a great way to celebrate San Diego and share with our community what Paul Mitchell is all about! Thanks Pamela! 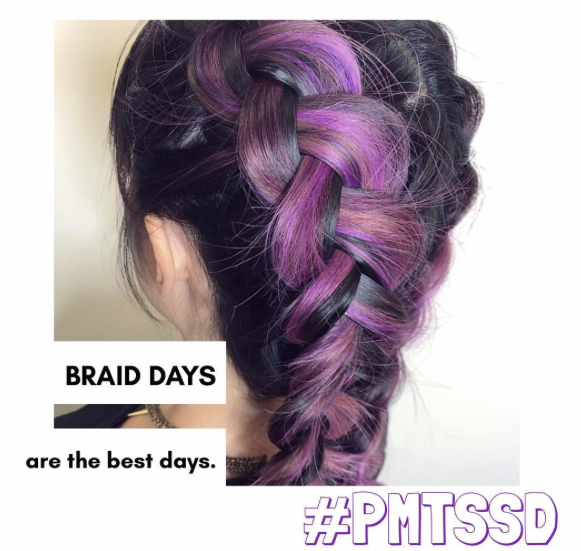 Not able to make it to KAABOO or just can’t wait to check out the services offered by Paul Mitchell the School San Diego? If you’re in the SD area you don’t have to wait. The school is located downtown at 410 A Street Building in SD. I’ve been there multiple times and loved every visit. You can visit 6 days a week just click here to see their hours & services. It’s also that time of year for classes to start so if you’re thinking about Cosmetology, Barbering, Make Up courses now is the time to check them out. Till next time keep it stylish on & off the board & yes skateboarding like the rest of life is more fun when you love your hair! 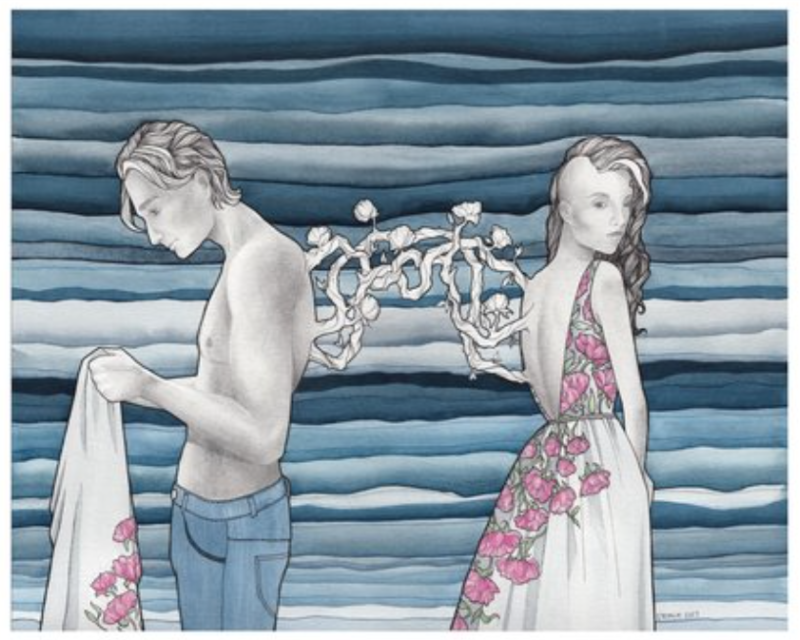 Kathryn Morin is an artist based in Anchorage, Alaska. My goal as an artist is to find beauty where there is only darkness, to inspire feelings of strength and a passion for life, and to create a sense of balance within my own heart. I had to research her & request an interview. I read that you’re inspired by your hopes, dreams, nightmares, and fears. How did you find the courage to share your nightmares and fears with the world? Kathryn: You have a wonderful way of looking at things. In my mind, making art was my way of expressing my emotions without having to talk about them. 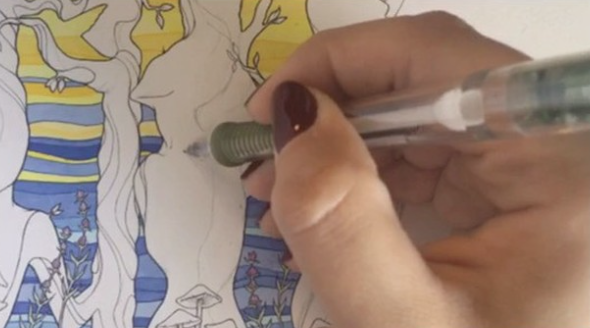 Making art was how I expressed my struggles, and it was really all about getting them out of my head and onto paper. Family and friends then encouraged me to set up a booth at some local craft shows, so I did. And I stood there awkwardly, not knowing how to talk to people about my art or myself. However, I soon found out that my artwork touched people in a way I never expected. People would look at my art and be able to see their own lives, and their own struggles, and be able to relate to it. While their struggles are different than mine, and they are at different stages in life, they are able to pull what they need from my artwork. Nowadays, I’m better at talking about my art, and I try to leave room for interpretation in each painting, so that, while there’s definitely a part of me in the painting, the viewer can also find a part of themselves within it. On your site you offer prints of some of your paintings. How do you decide which paintings become prints? Kathryn: All of my paintings become prints! I feel strongly that art should be obtainable and accessible, so I offer prints in a variety of sizes and price points. I read you sell originals at art festivals. Is that what you’ll be doing at KAABOO? Will you also be creating “live” at KAABOO. Kathryn: Yes! I will have a pretty large variety of framed originals for sale at KAABOO. I will also have a selection of limited edition prints available. And, I really hadn’t considered creating “live” but now that you mention it, well, I’m already packing my supplies! So yes, I do plan on creating “live” and I’m really excited to talk to festival goers about my drawing and painting process! 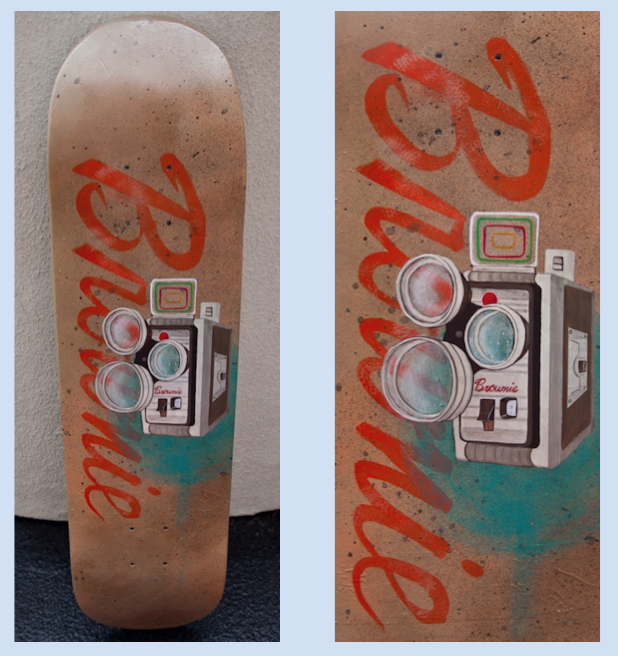 Have you ever considered painting skate decks? Kathryn: Actually, yes! I had a festival goer recommend skate decks to me a few years ago, but I honestly don’t know where to start as far as getting a skate deck! If you or your readers have any suggestions, or want to commission a one-of-a-kind skate deck, please reach out to me via email, Facebook, or Instagram! Thank you Kathryn for taking the time to share. Your art is beautiful and definitely spoke to me. 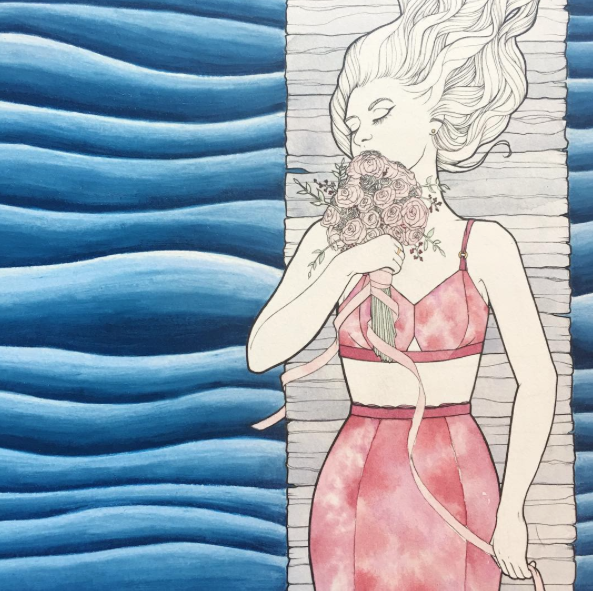 To see more of Kathryn’s work both before and after KAABOO check out her IG and website – Amor Artis Gallery. current WIP – will she make it to KAABOO? I hope so she’s exquisite! 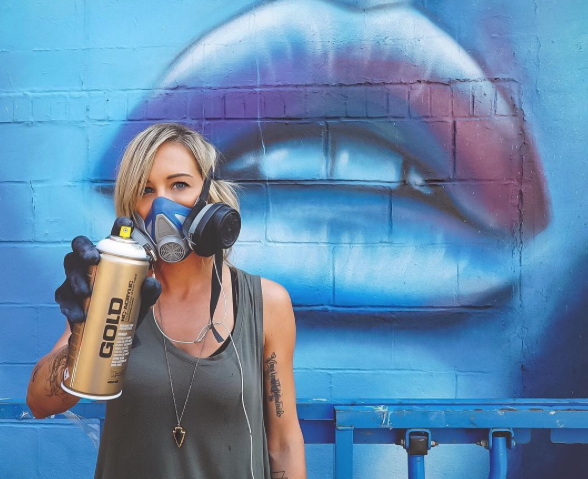 Carly Ealey is a San Diego, California artist who will be painting a permanent mural at the Del Mar fairgrounds live during KAABOO at the Trestles Stage – September 15-17, 2017. 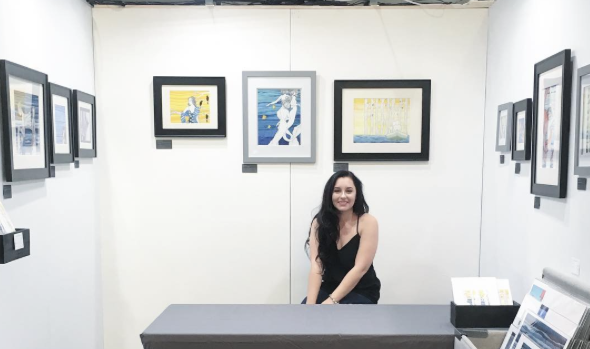 I recently had the honor to ask her a few questions about her art. 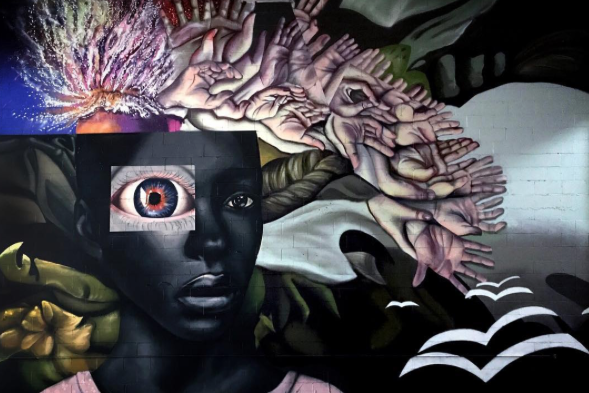 How did you start as a mural artist? Were you using spray paints from the beginning or how did it come about? 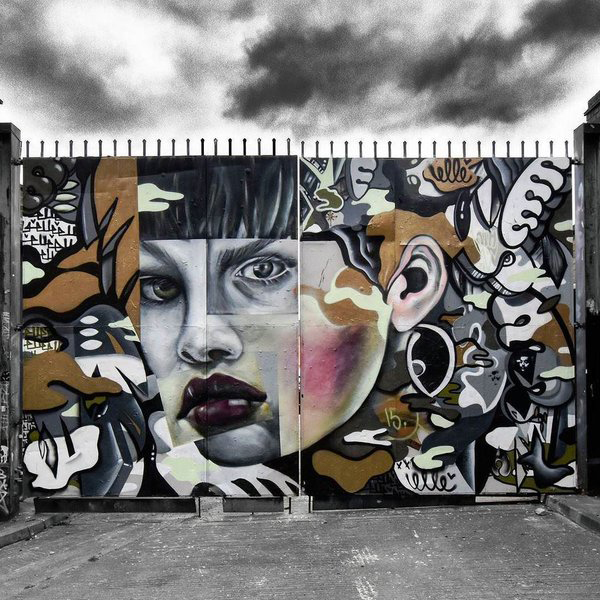 Carly: Painting murals was a natural progression from painting on canvas. I found myself wanting to paint larger and larger pieces and eventually moved to walls. I would mess with spray paint from time to time on smaller surfaces but didn’t really try using it outside of background textures until painting larger scale. I realized how fast you could paint and cover more surface area with spray a couple of years ago and was totally hooked. Before spray paint, I was painting with just brush and sometimes on big rolls of paper and wheat pasting to walls which was very time consuming. I love the instant gratification you get from spray paint and the use of my whole body…it’s a release. 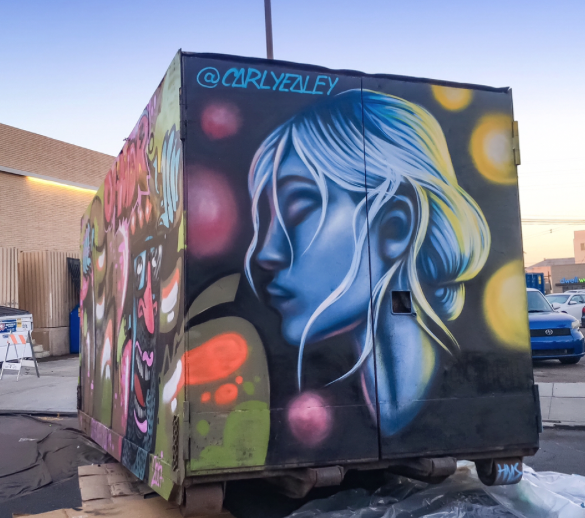 I’ve seen some of your incredible work like the pieces at Chez Pierre Cabaret in Edmonton, Alberta Canada, the border wall in Tijuana, Mexico, and your piece from last year’s KAABOO how do these compare in size and style to what you’ll be doing at KAABOO this year? 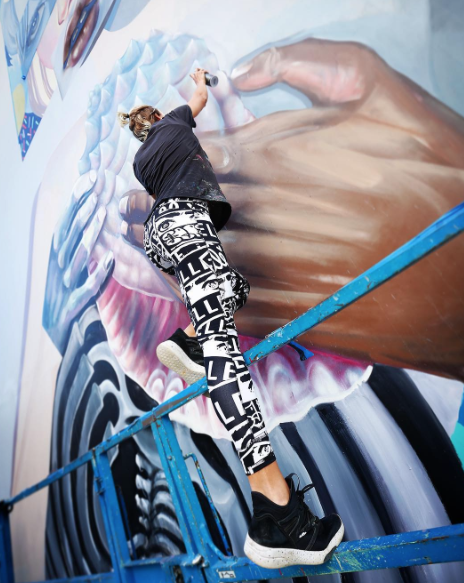 Carly: Every wall is different and requires a unique approach, I think that’s partly why they’re so fun to paint. My wall in Edmonton for Rust Magic mural festival 2017 is the biggest one I’ve painted yet and was a crazy struggle the whole way. 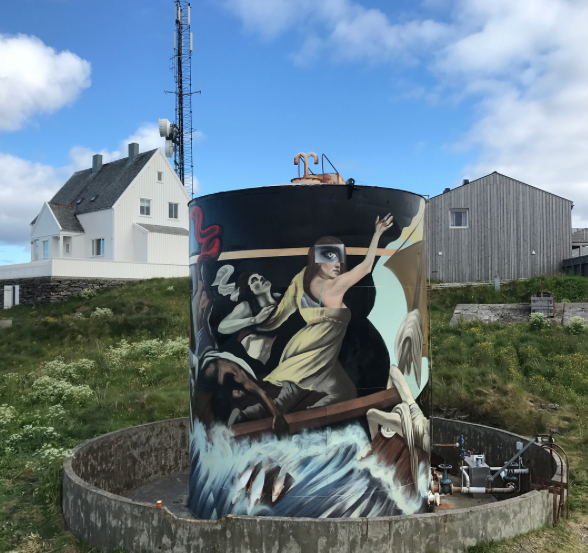 I was short paint, encountered weather delays, and the wall was constantly wet (the building is incredibly old and has a very water logged and leaky roof) but it ended up being my favorite mural so far. One of my goals has been to make my murals look more like my smaller scale paintings and I feel like that mural achieves that despite all of the challenges that arose. The border wall was an experience for sure…living in San Diego, Mexico is our neighbor and very much integrated into our everyday culture. Baja Internacional invited me to participate and I accepted immediately. 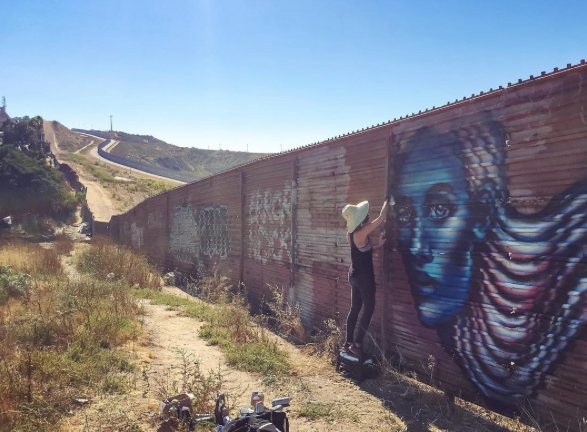 Part of my desire to paint the TJ/SD border was to promote border unity and embrace diversity so it was a really cool and personally meaningful project to be a part of…especially during these turbulent times in this divided political climate. The border wall itself is pretty gnarly, rusted red corrugated metal. It’s definitely not the most ideal surface to paint on but the experience made it worth it. You just have to keep in mind that this is something people will only really see as they are speeding by on their commute so I kept it simple and big with not a lot of detail. 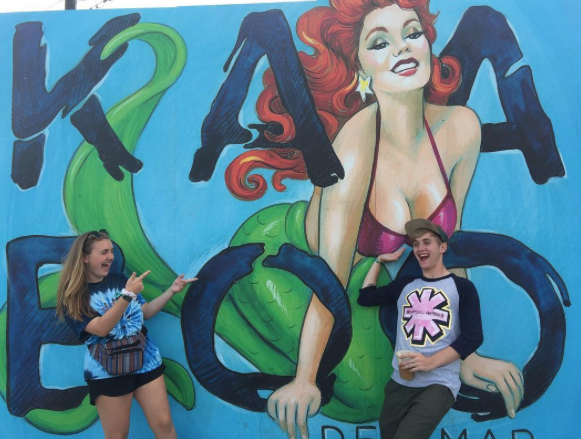 Looking back at my KAABOO mural last year, I now realize what a luxury it was to be so well taken care of with my giant fancy lift and food and restrooms haha! It’s pretty crazy to see how far I’ve come in just a year. I’ve only been spray painting seriously for a couple of years now and I feel like I’ve grown tremendously. Then again, I pretty much feel that way after every wall I paint. 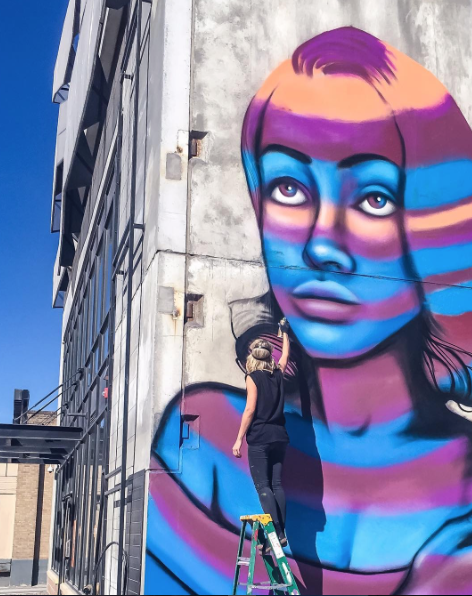 Each mural is an opportunity to grow as an artist and even as a person. I guess anything truly challenging can do that! 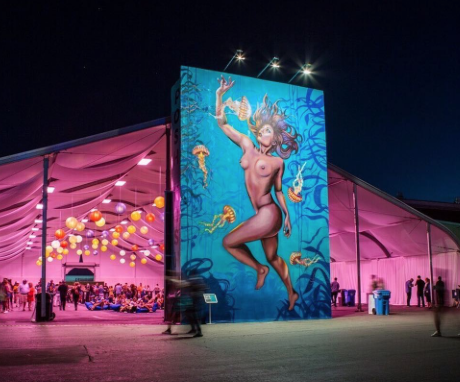 This year’s KAABOO mural will be a whole new challenge. It will be my largest mural to date! It’s on a permanent structure on the Del Mar Fairgrounds across from the giant mural of the humpback whale by Wyland. Which is pretty surreal in itself because as a kid, I was really enamored with Wyland’s work and especially his massive murals. This particular surface is the facade of a two-story building that has a lot of doors and windows in it, so it will be interesting to paint. 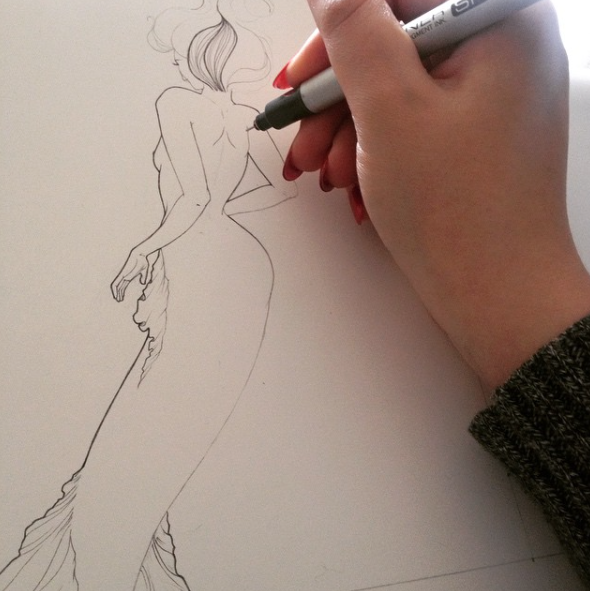 Because of the scale and amount of obstructions, my plan is to go really big with some giant female characters resembling mermaids or sirens in an underwater environment. It will be a cropped view of their faces as they gaze out from the depths. 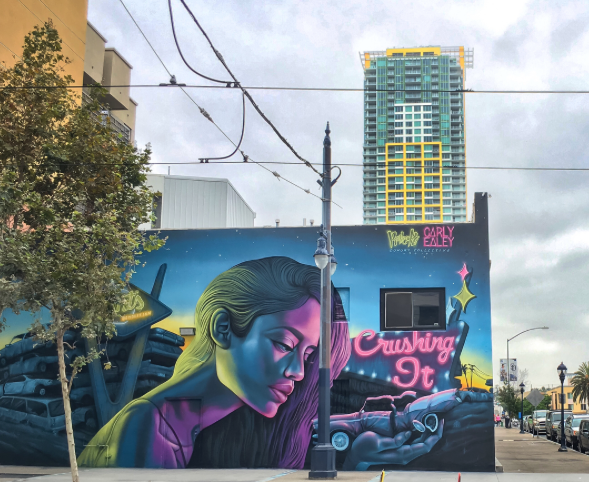 What’s the timing of your KAABOO mural do you start on Friday when the festival opens? Can you share insights into the planning before the festival to make it happen in just 3 days? 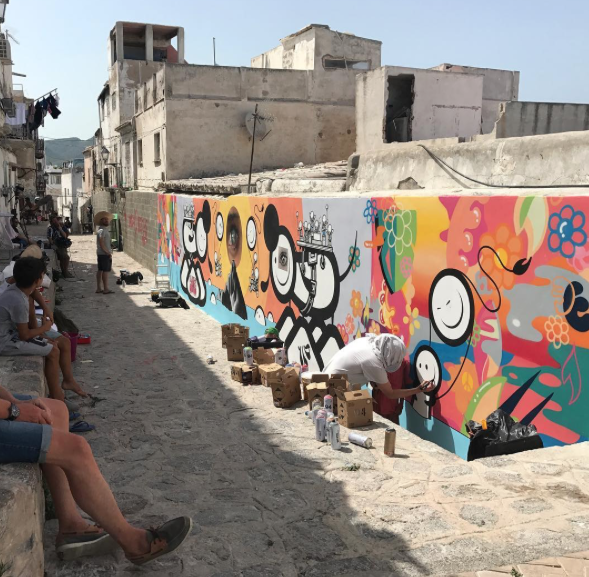 Carly: Due to the size of this mural, I will be starting several days prior to the festival otherwise there would be no way I could finish in time. A lot of planning went into this ahead of time, all of the paint colors were planned and ordered well in advance based on sketches and mock ups of the design. I had to have the fairgrounds approve the design as well as the KAABOO team months in advance. What’s unique to you about “live art”? 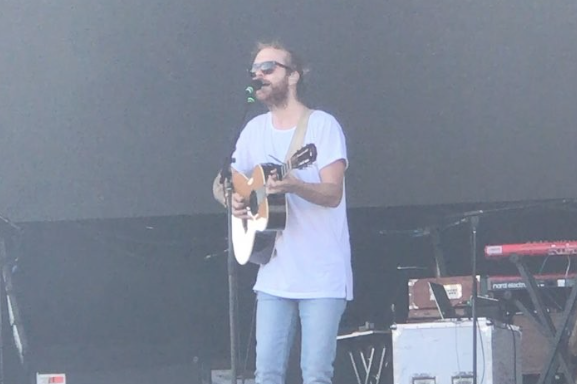 I saw your work on the container at the SDCCU Festival of Arts North Park and you were at KAABOO last year but is it usual to have a large audience watching you create? How does an audience change the vibe? Carly: Live art is just another challenge. I used to be really nervous about painting in front of people but now it doesn’t bother me. In fact, I kind of like it now. As long as you have a good crowd and positive people, I think it just makes you try harder. It can be more of a challenge to focus sometimes but that’s where good music and headphones come in handy. Any chance you’ve thought of painting skate decks? Whatever the medium Carly’s art is stunning! Thanks Carly for sharing with us. Can’t wait to KAABOO to see her work – you don’t have to. You can follow her on IG and check out her website to see much more of her amazing work. 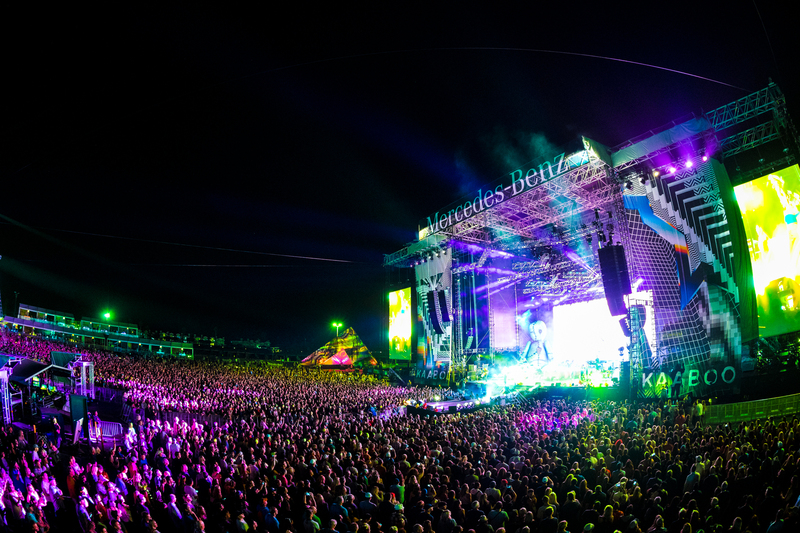 The end of summer is sad, but the coming of KAABOO is something to get excited about. 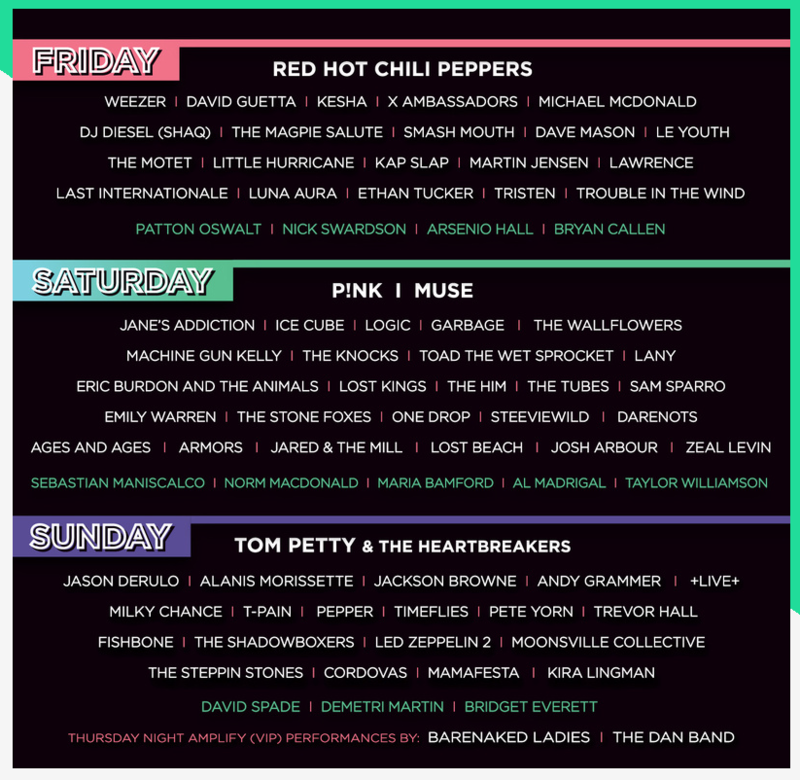 KAABOO is three days of music plus so much more! 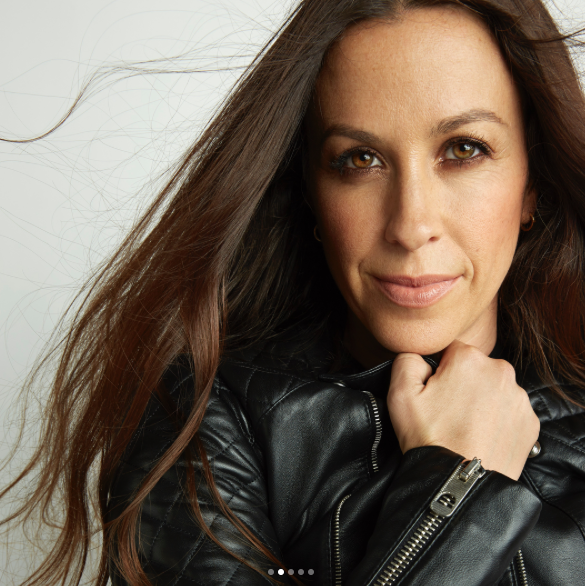 and Alanis Morissette on Sunday. 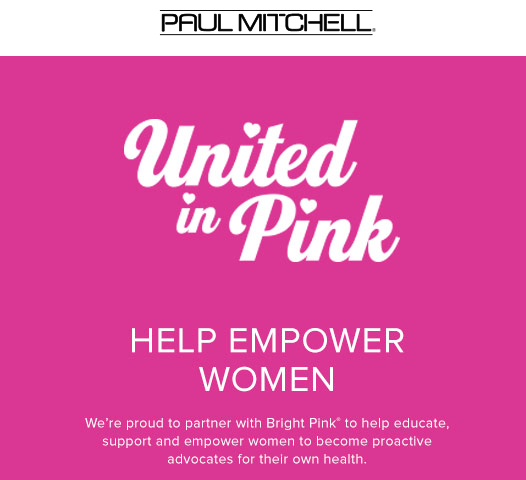 Yes – Paul Mitchell is on site to pamper you! Above Palate Tastes plus there will be featured chefs, Palate Sips, Posh Nosh, & Other Eats! and kick back in a million ways including comedy shows. There’s still General Admission and limited VIP passes available – I hope you get yours soon so I see you at KAABOO in Del Mar September 15 – 17th. 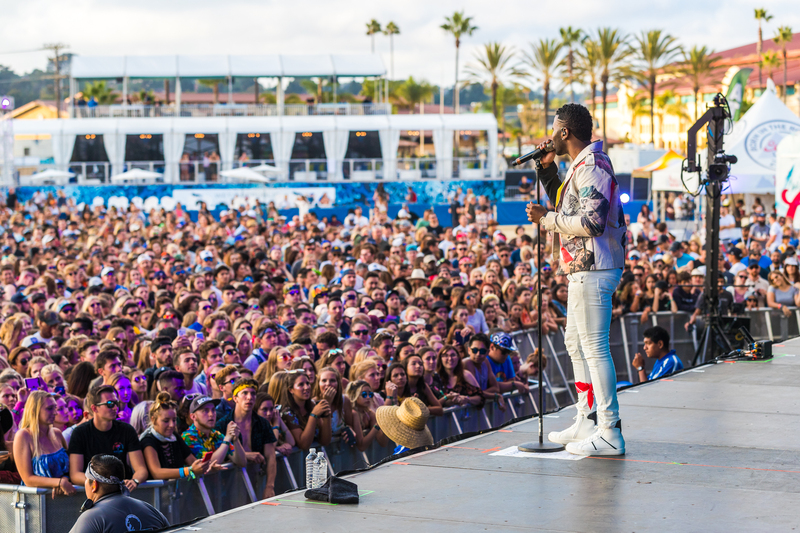 The most stylish place to be September 15-17th will be KAABOO Del Mar. Look for more posts leading up to it and then a recap post.